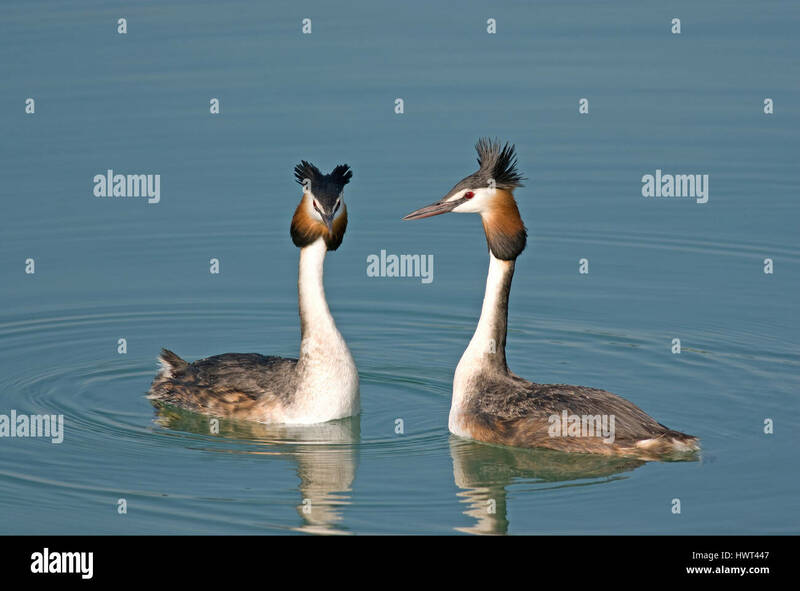 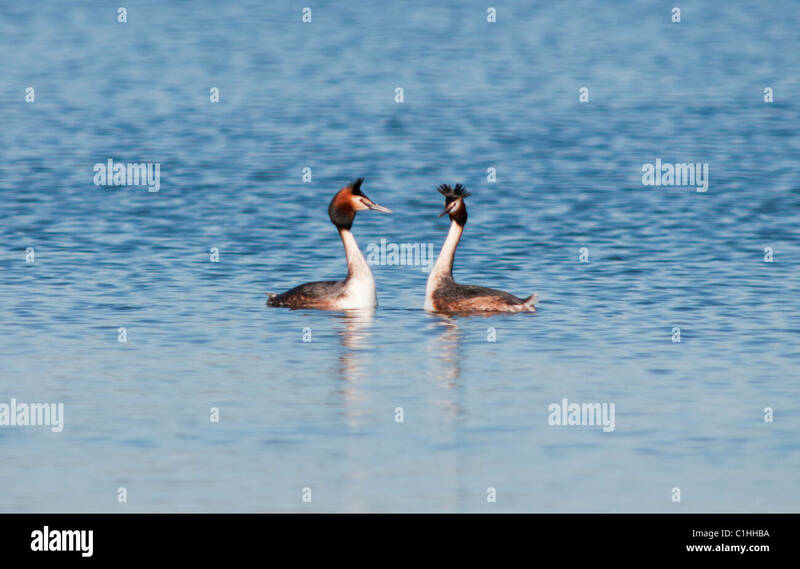 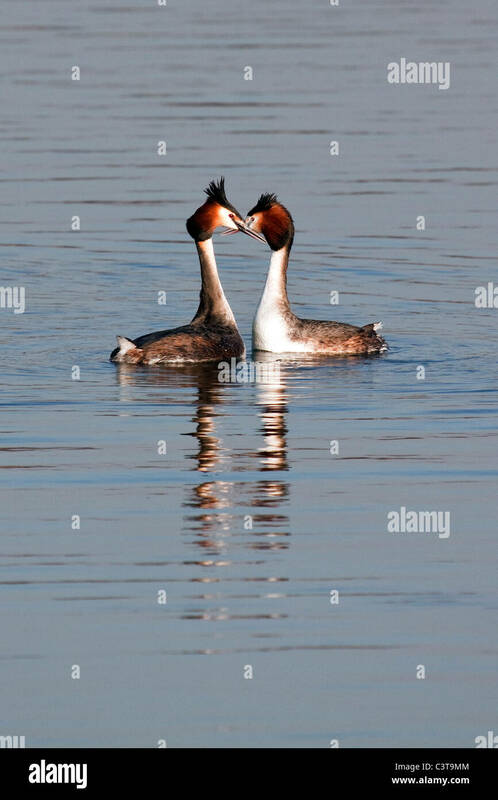 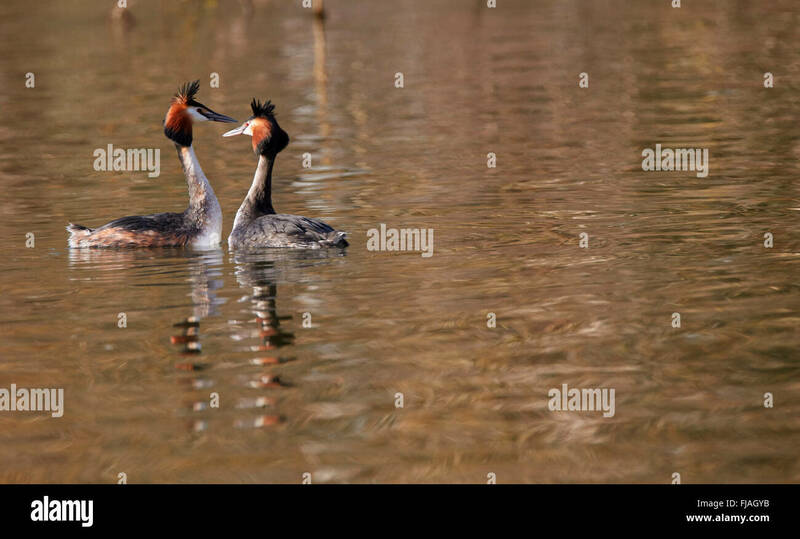 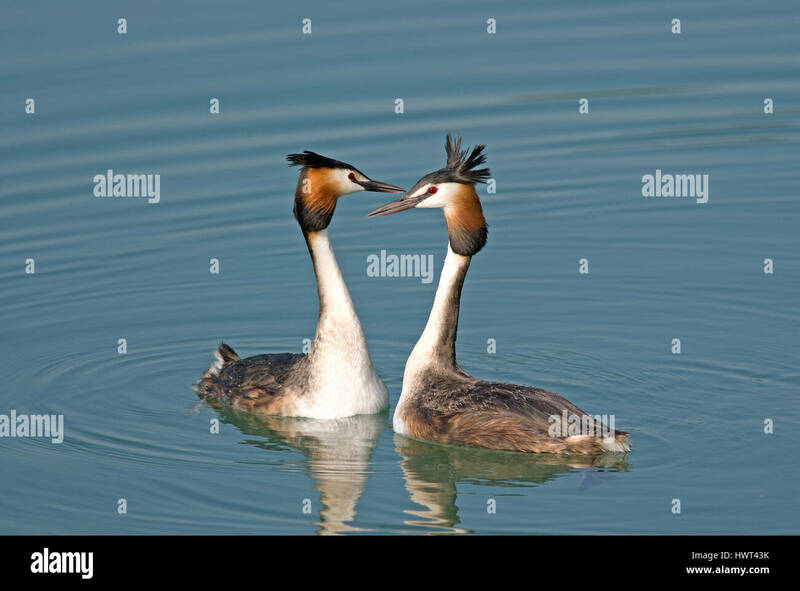 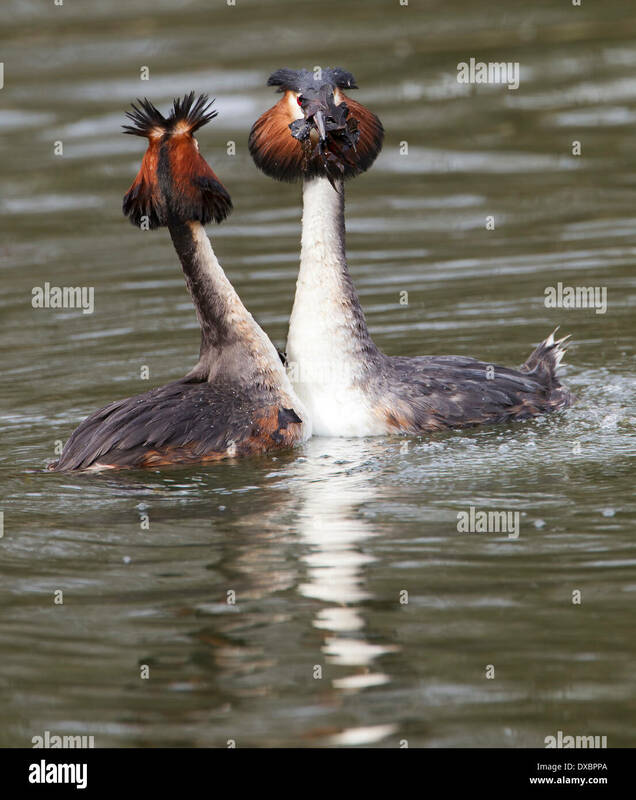 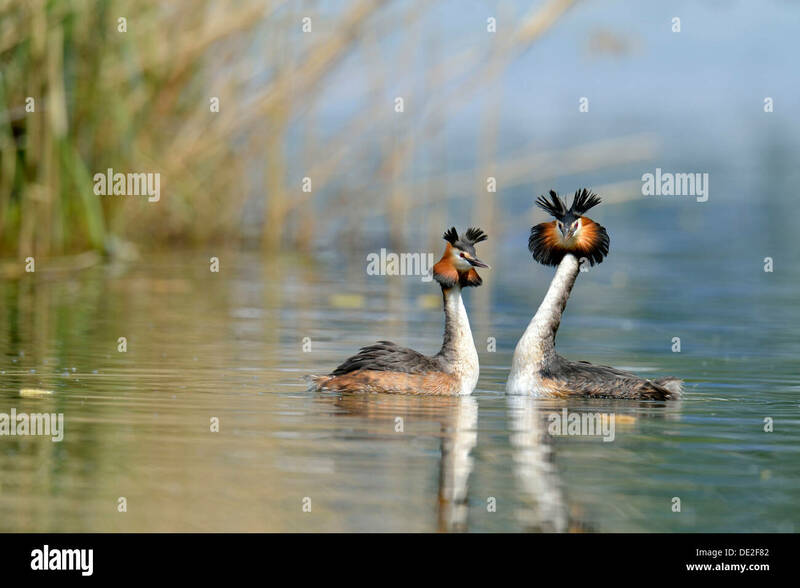 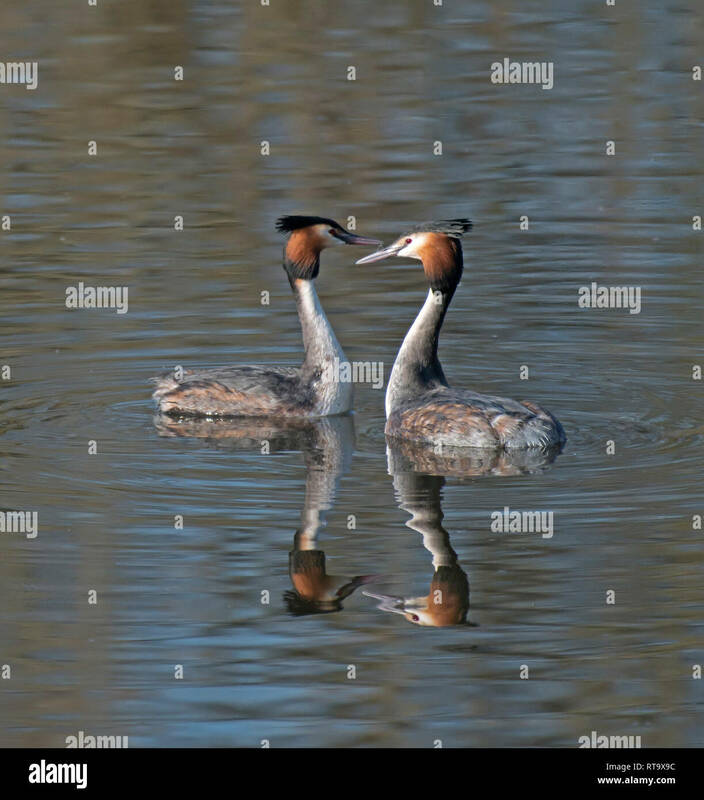 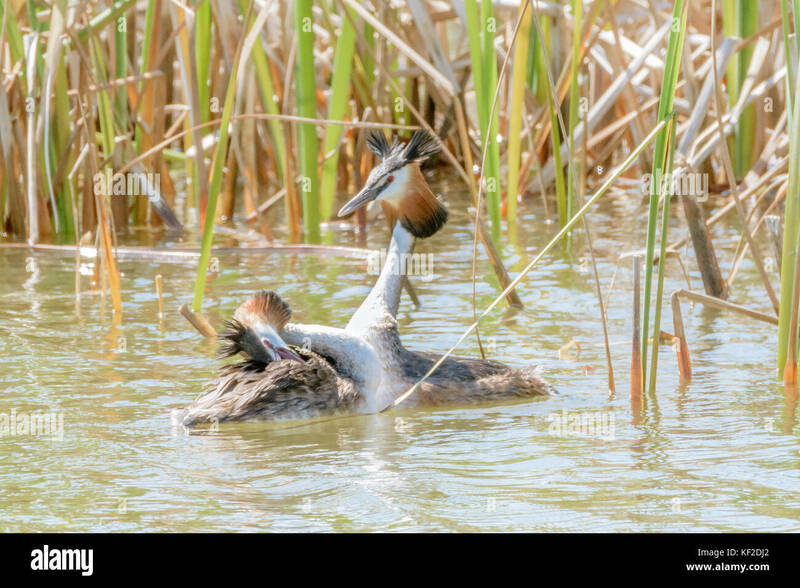 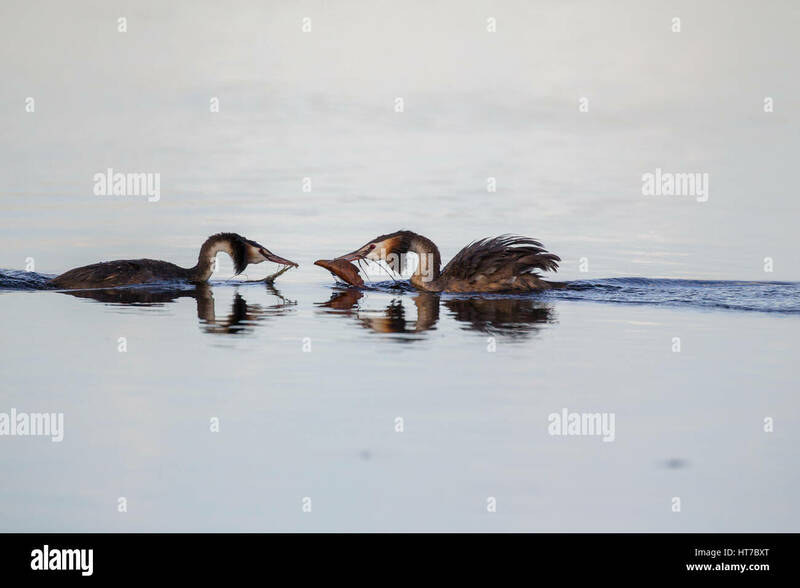 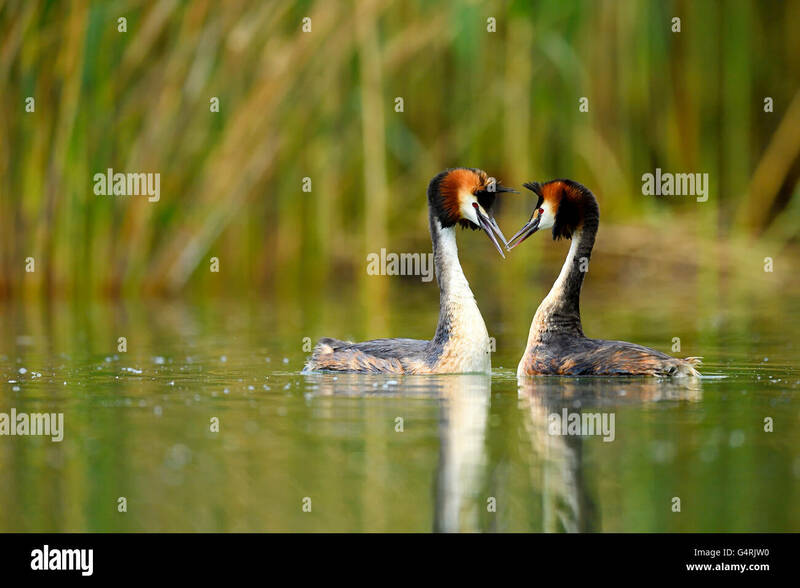 Pair of Great Crested Grebes courting. 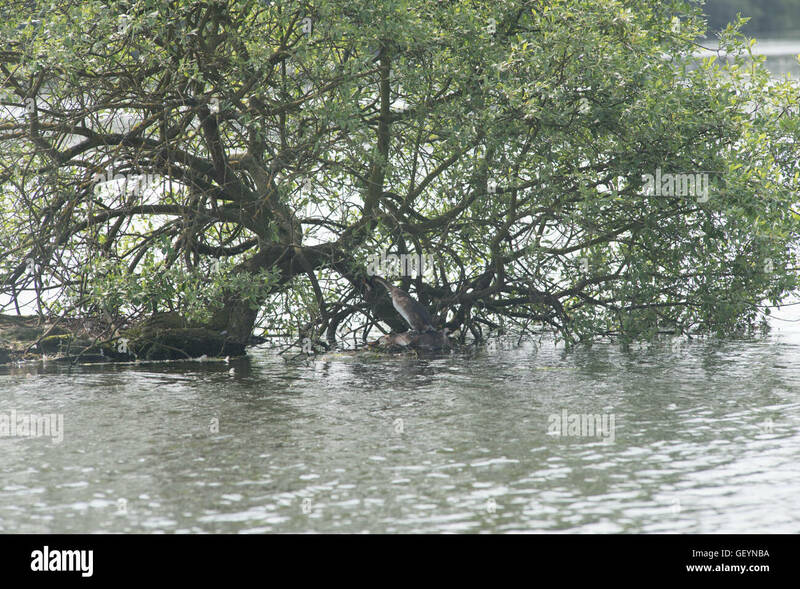 River Thames, West Molesey, Surrey, England. 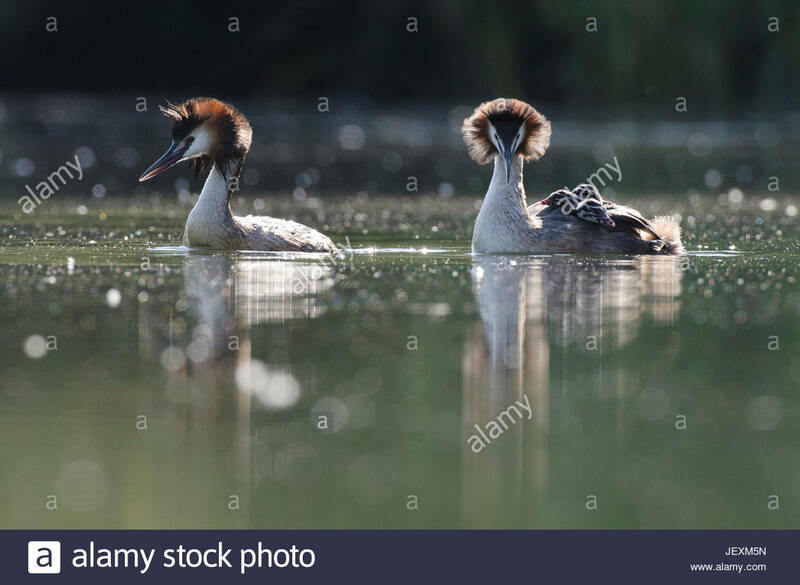 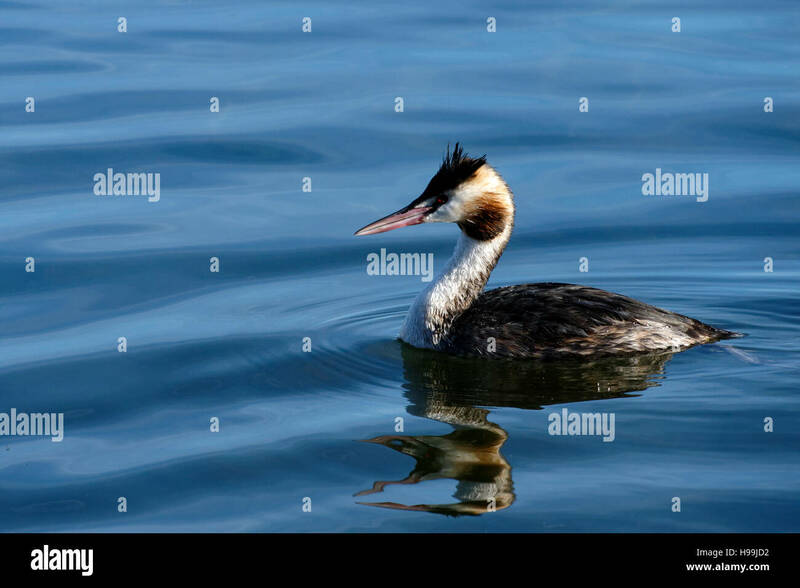 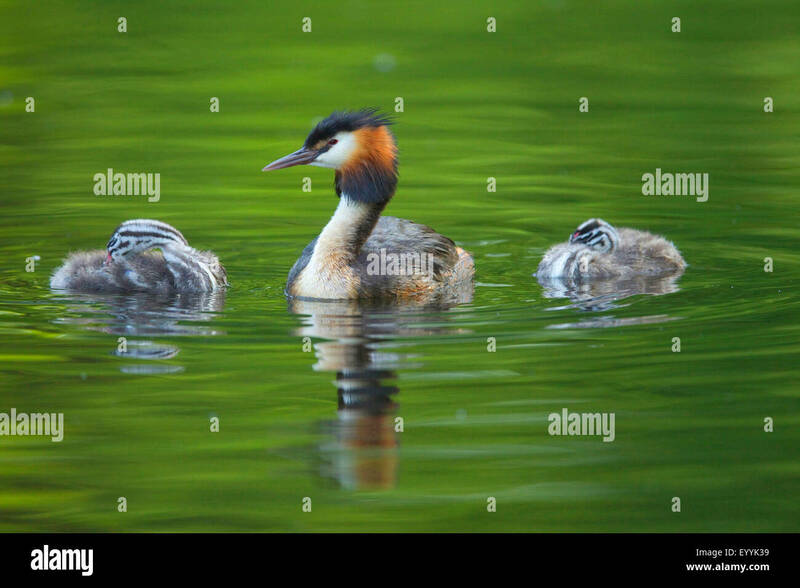 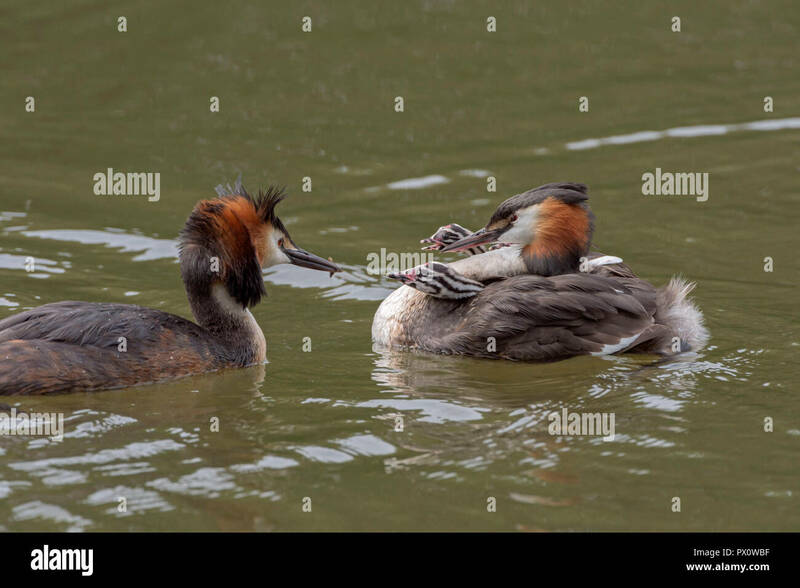 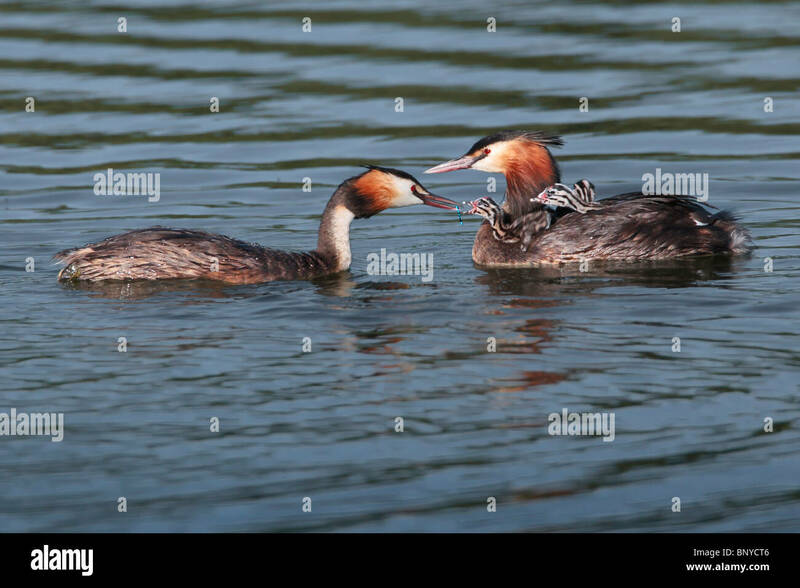 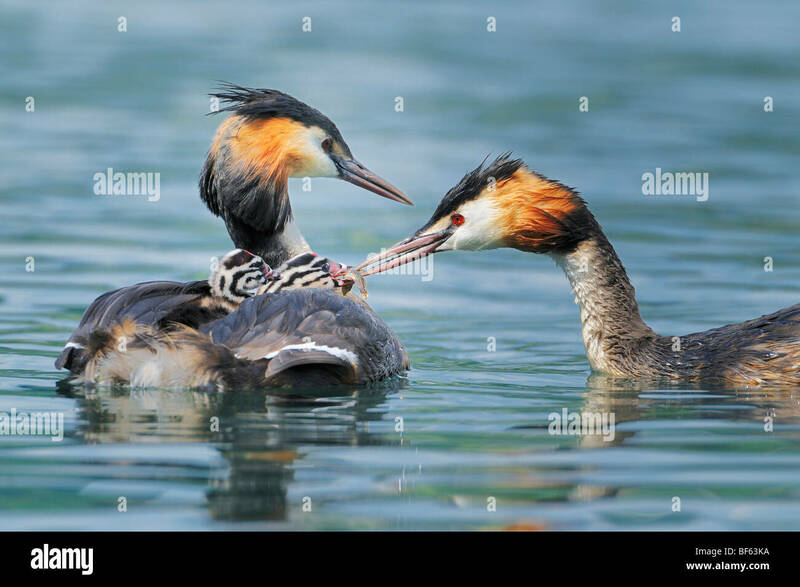 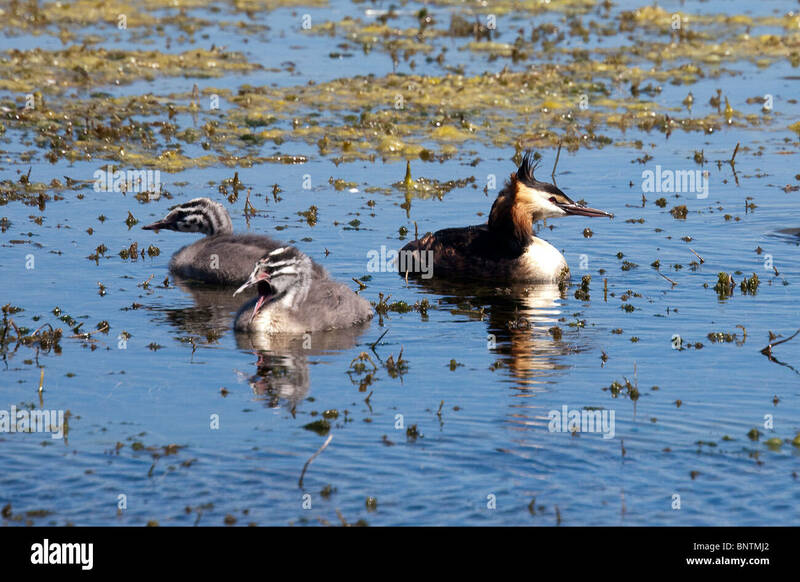 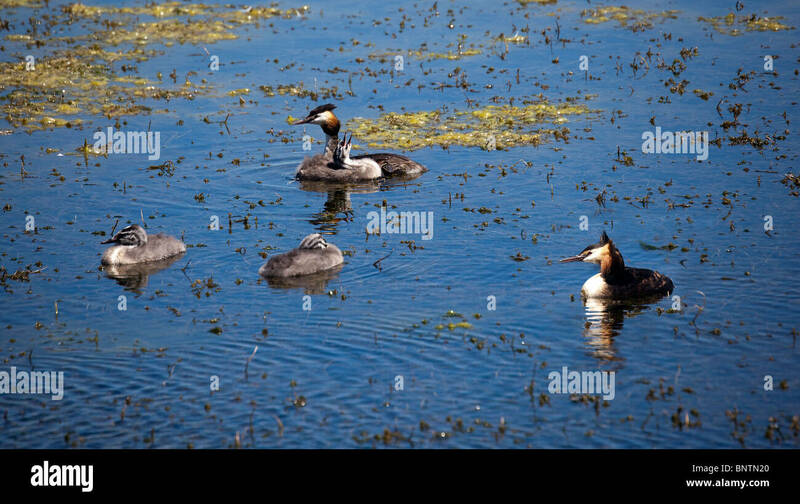 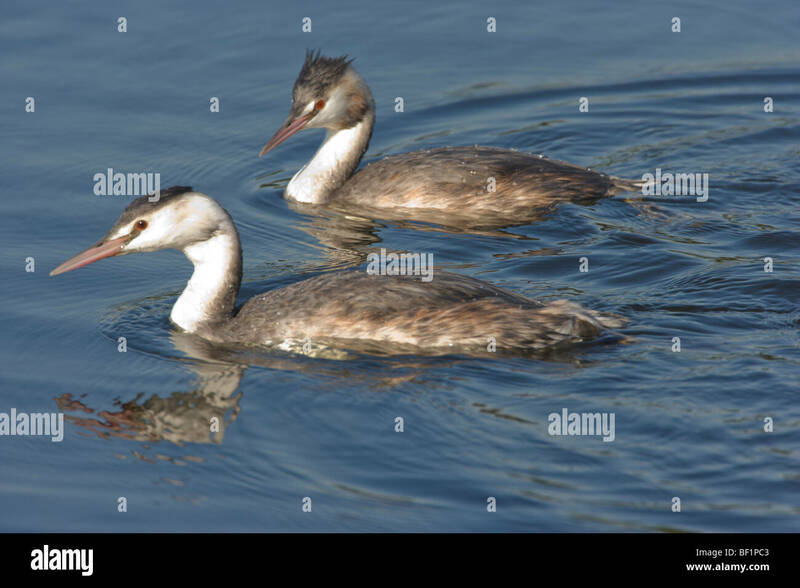 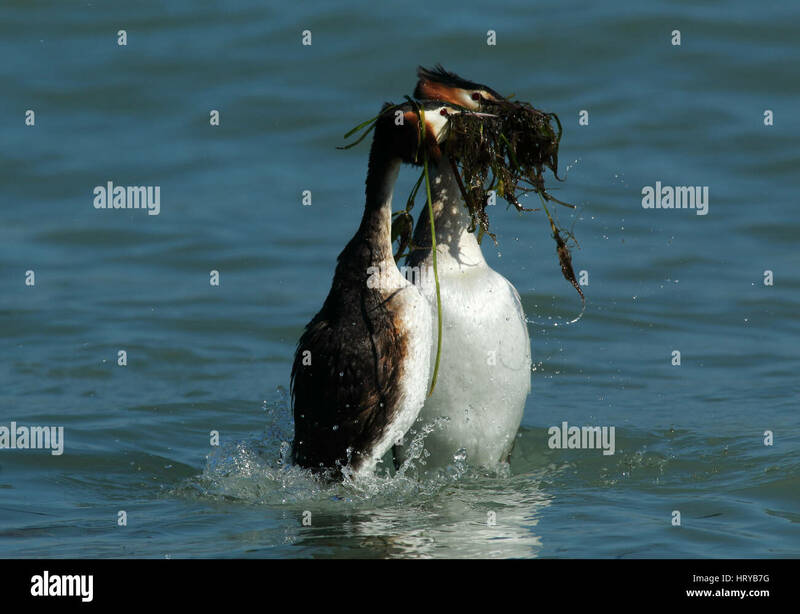 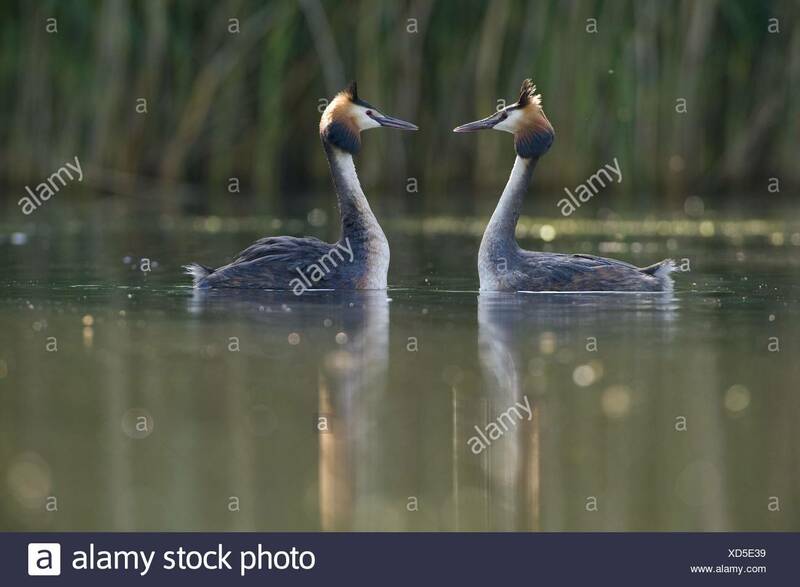 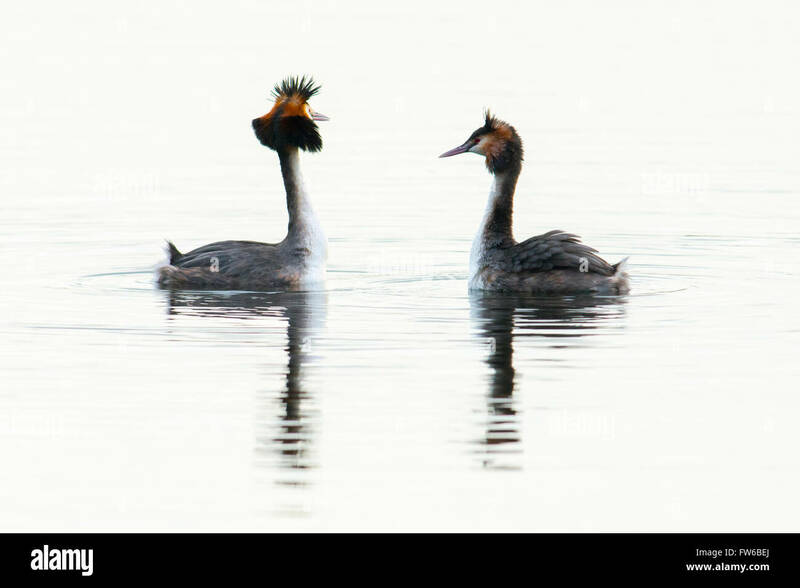 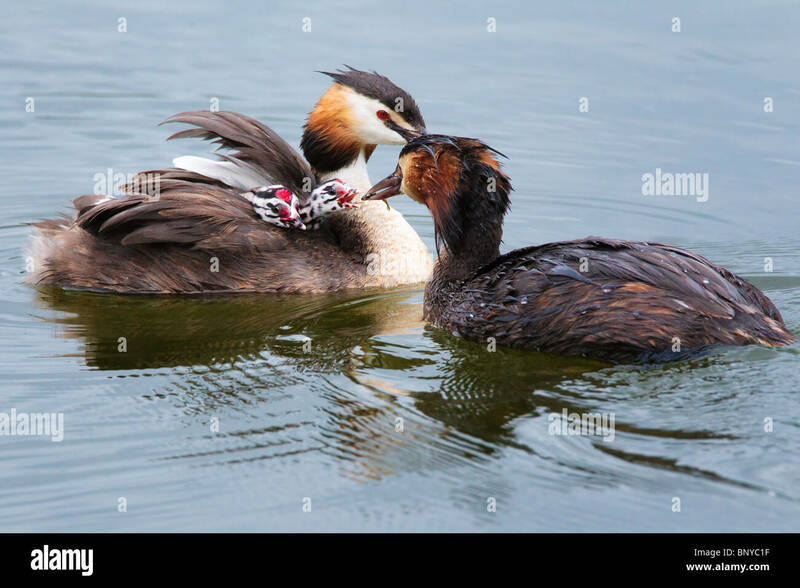 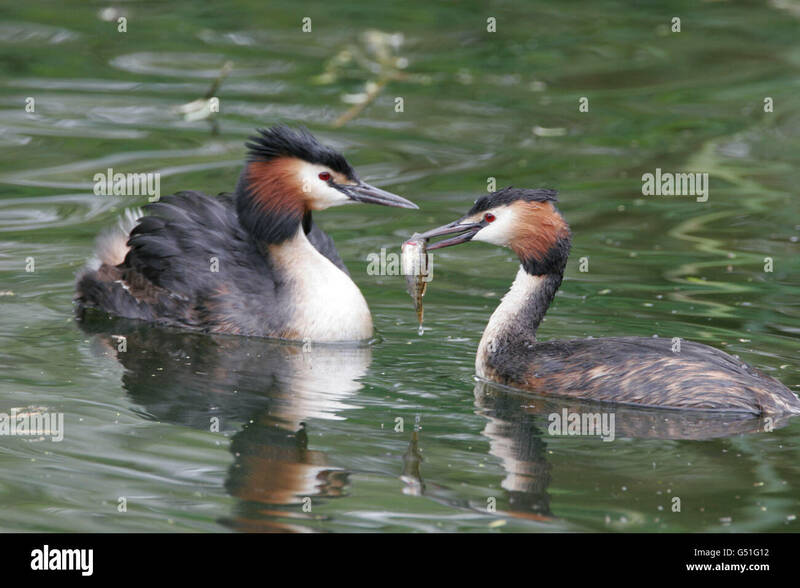 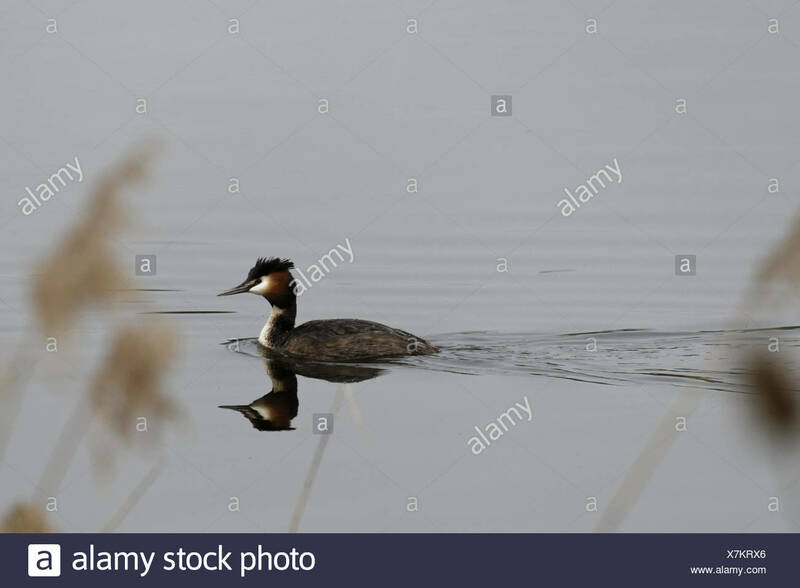 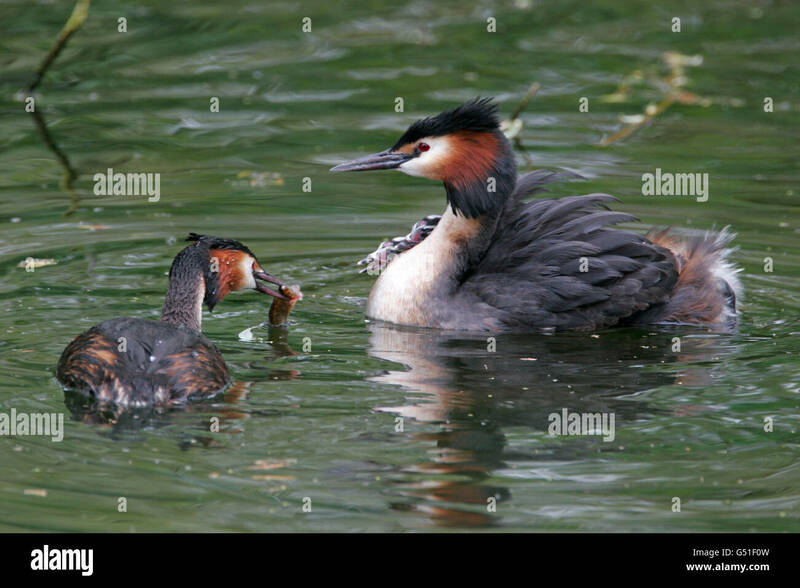 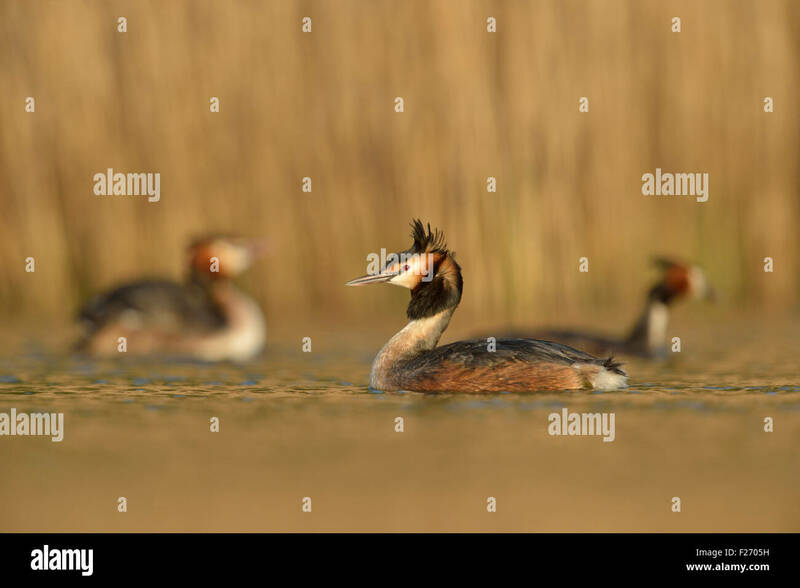 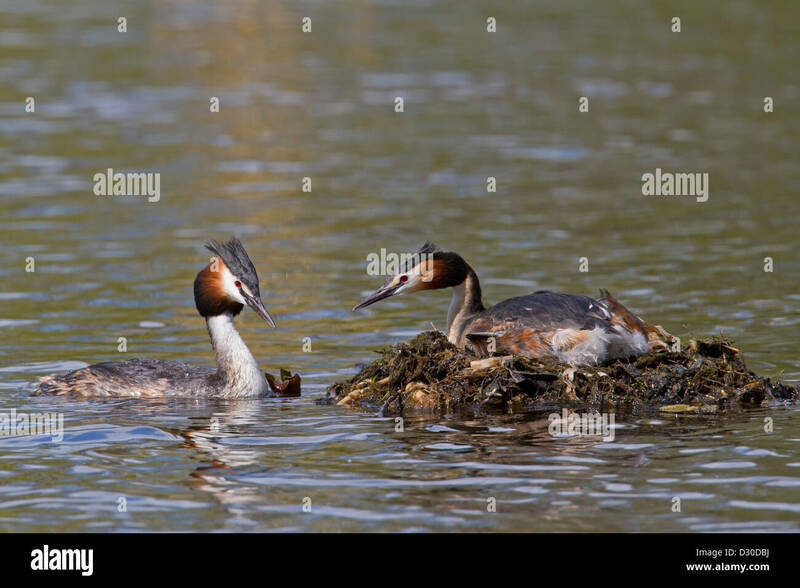 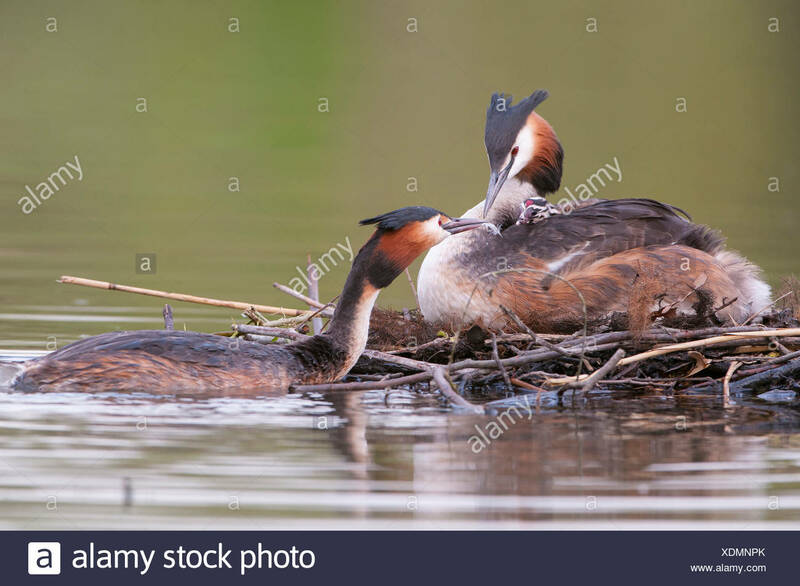 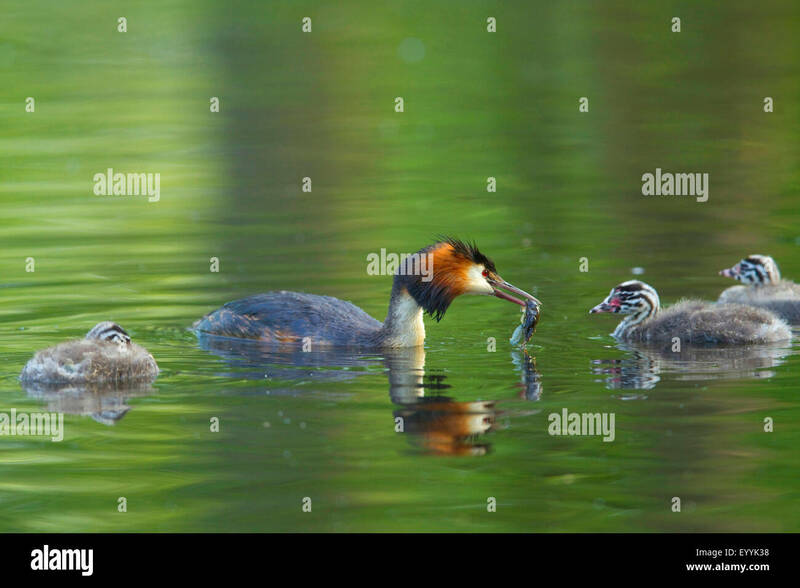 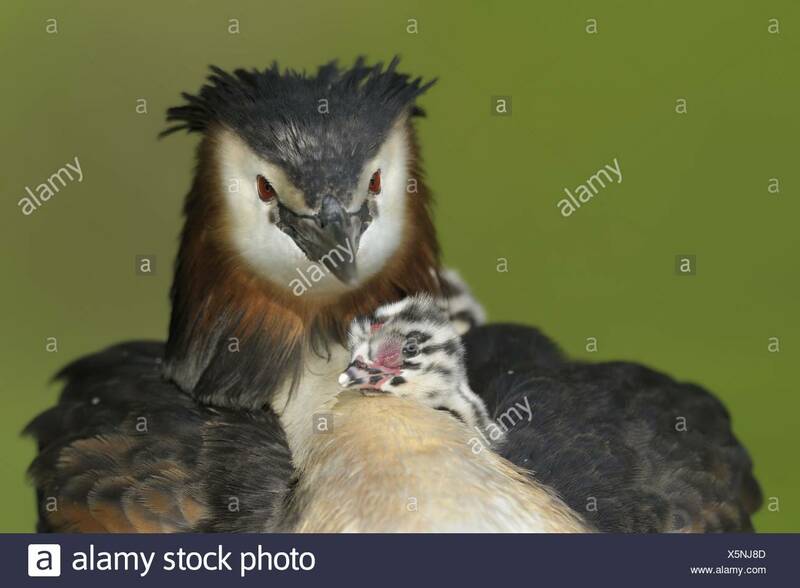 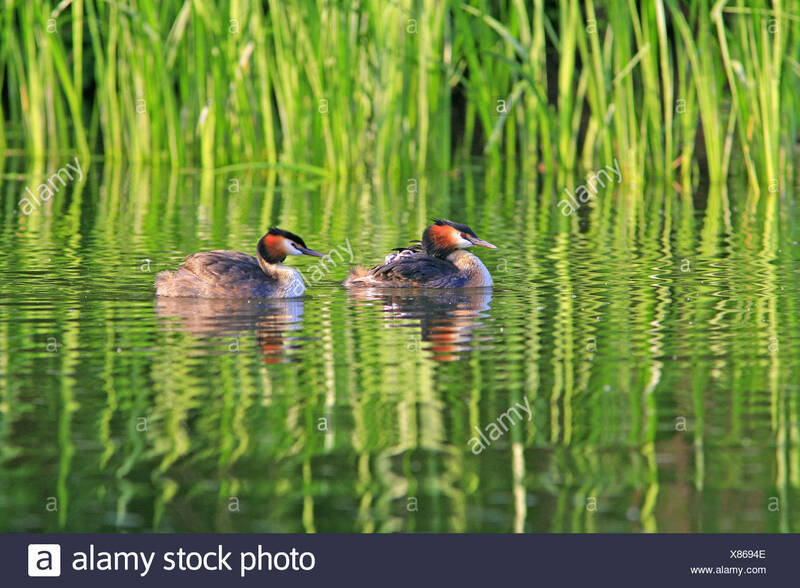 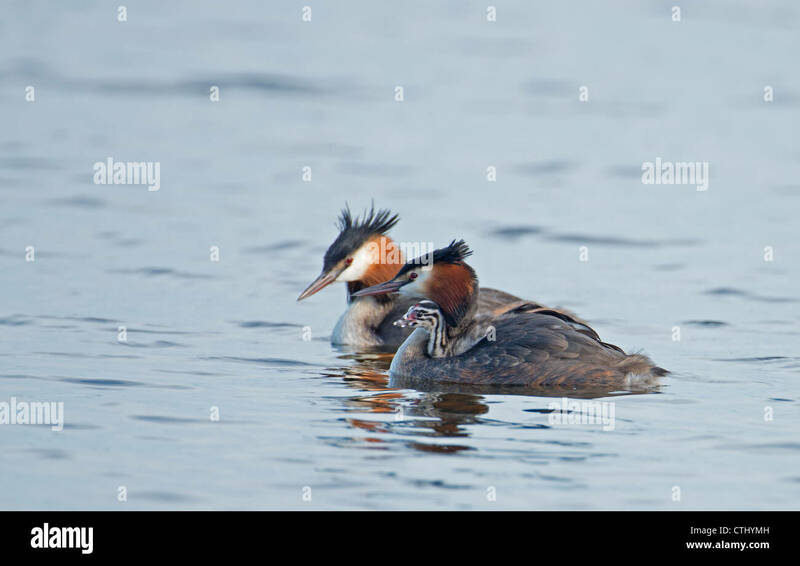 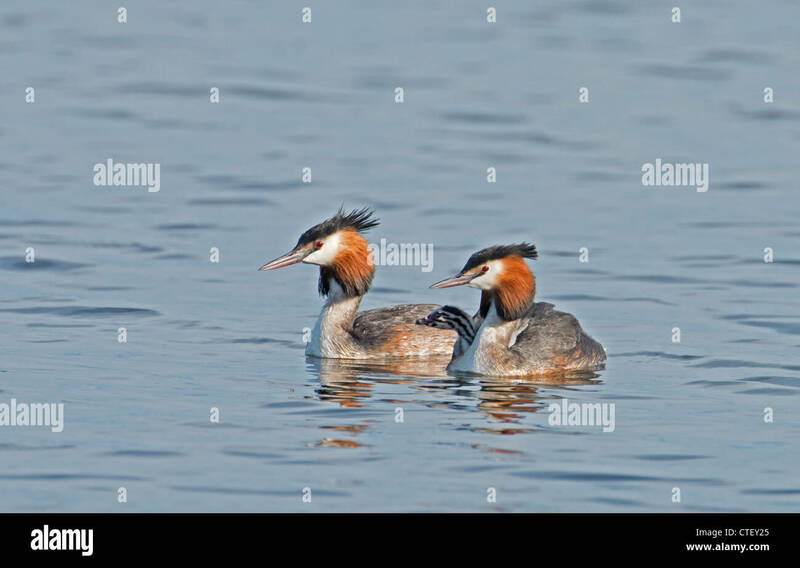 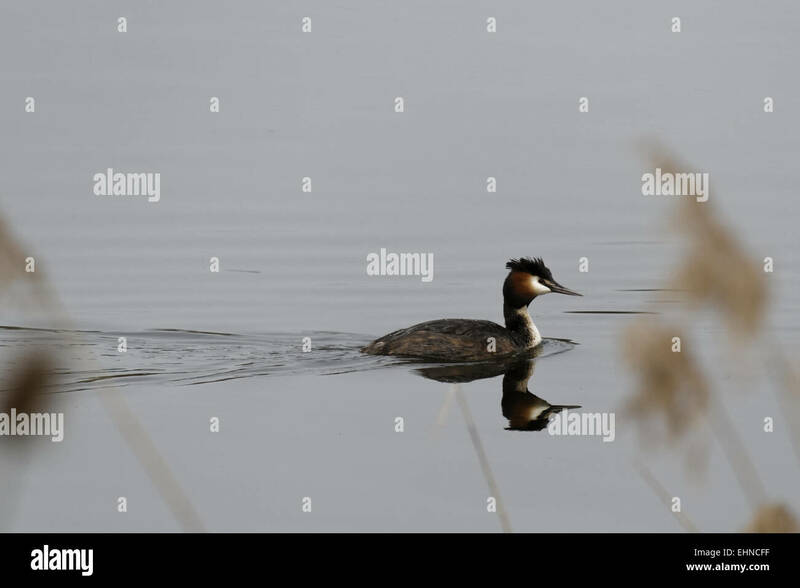 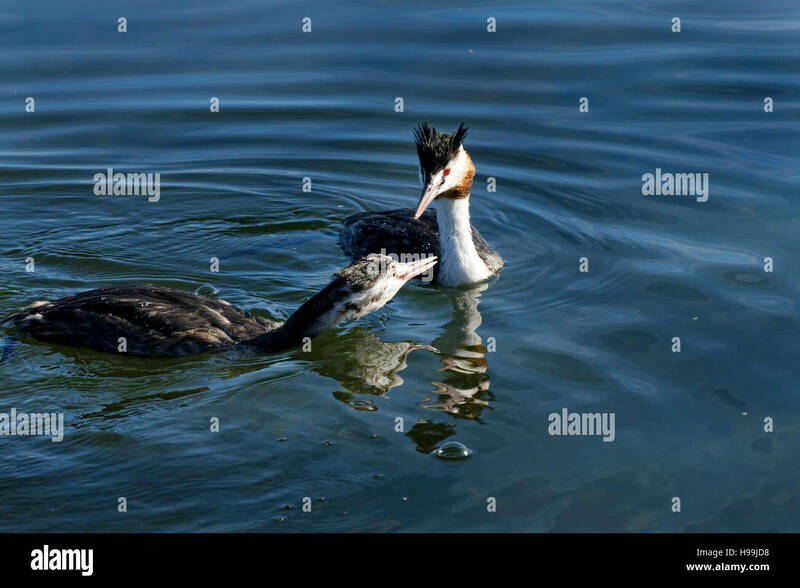 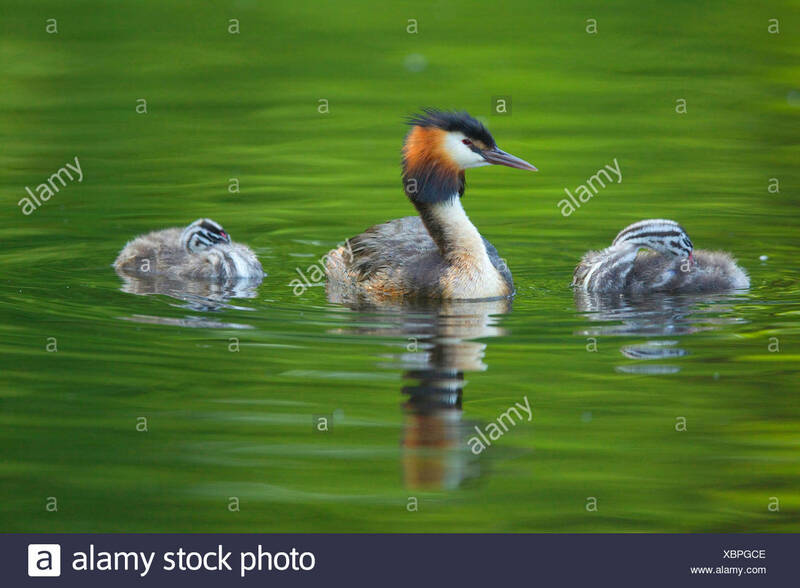 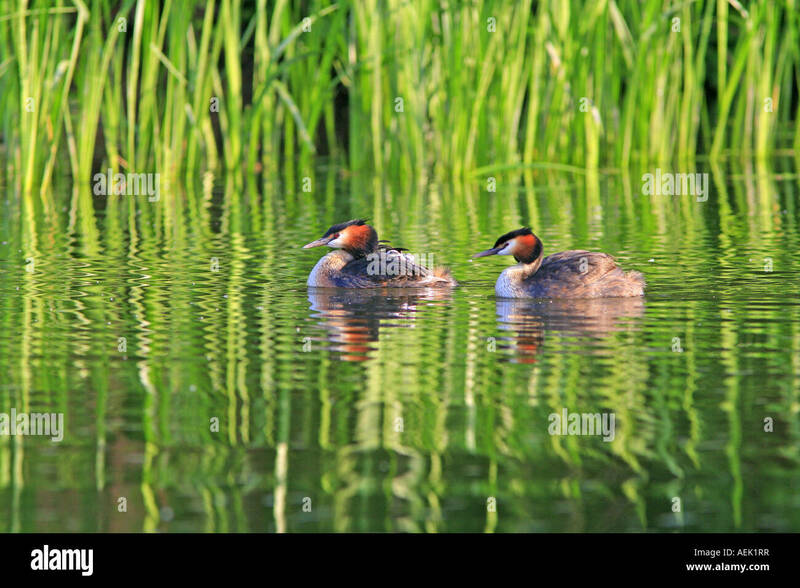 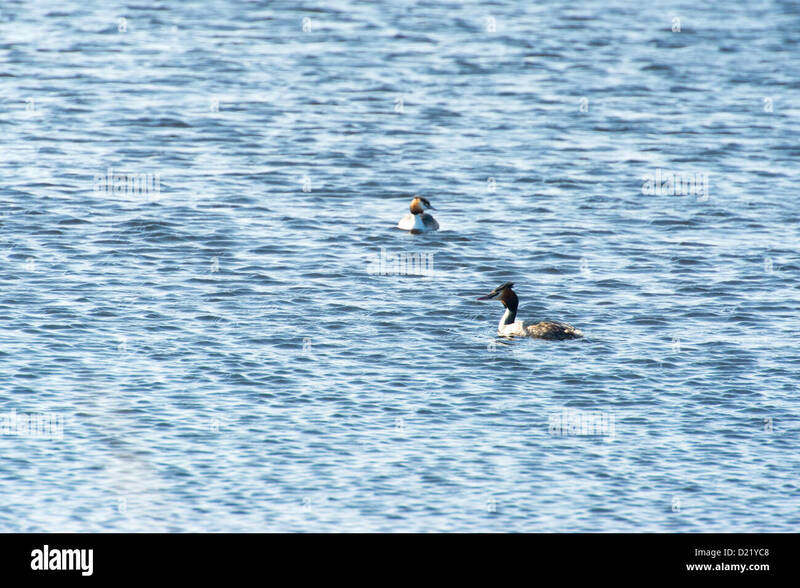 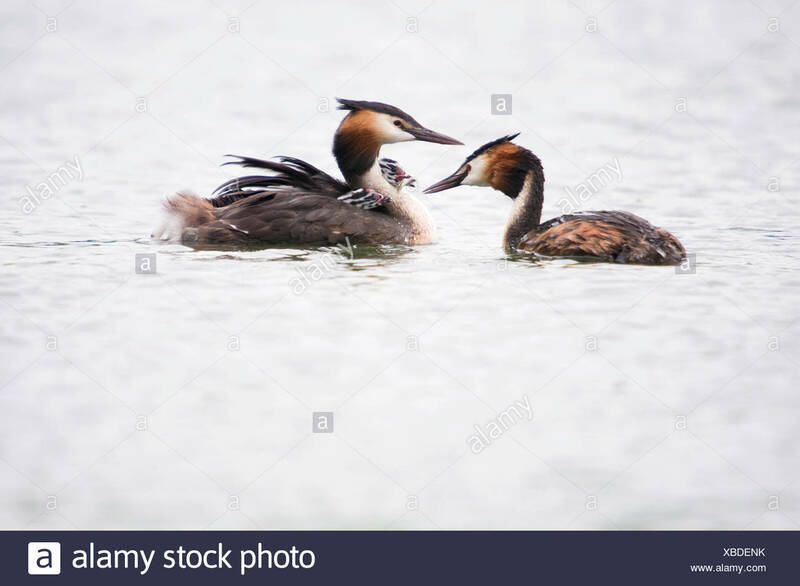 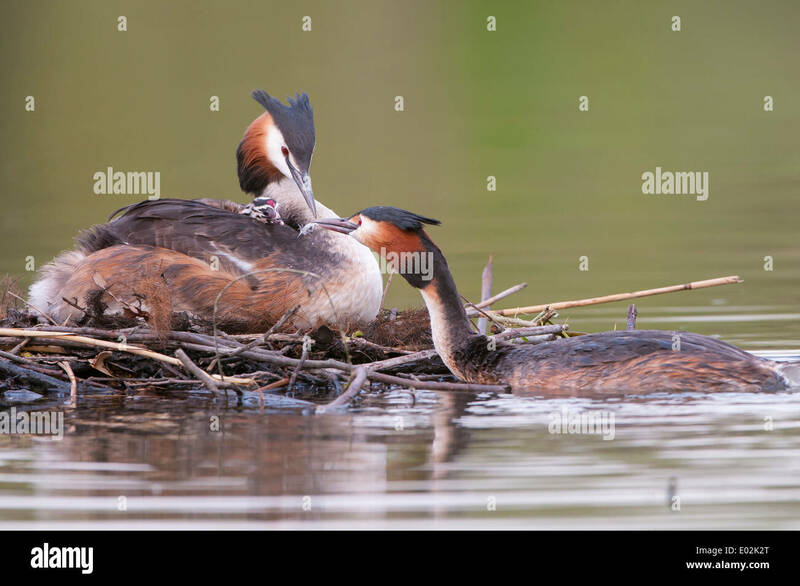 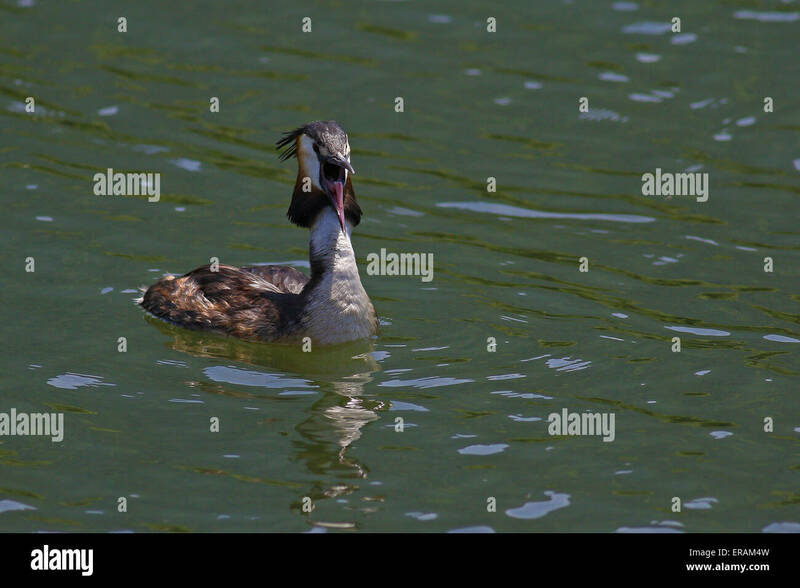 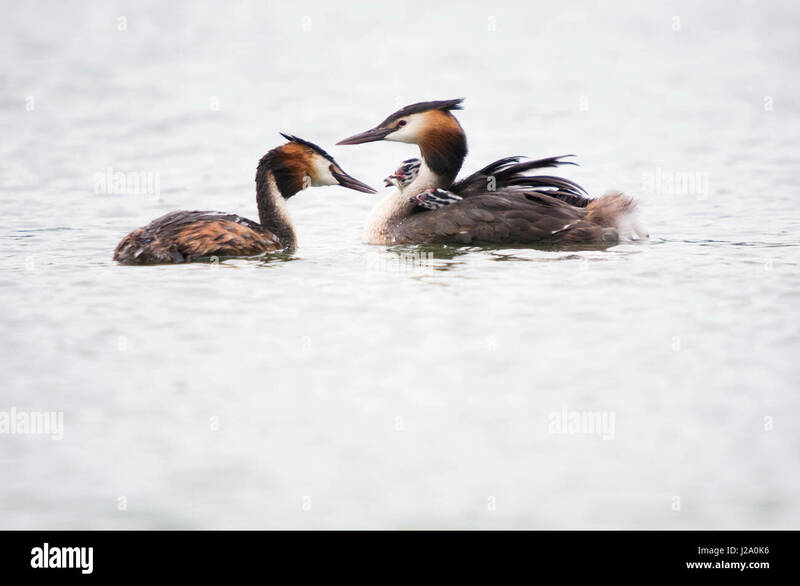 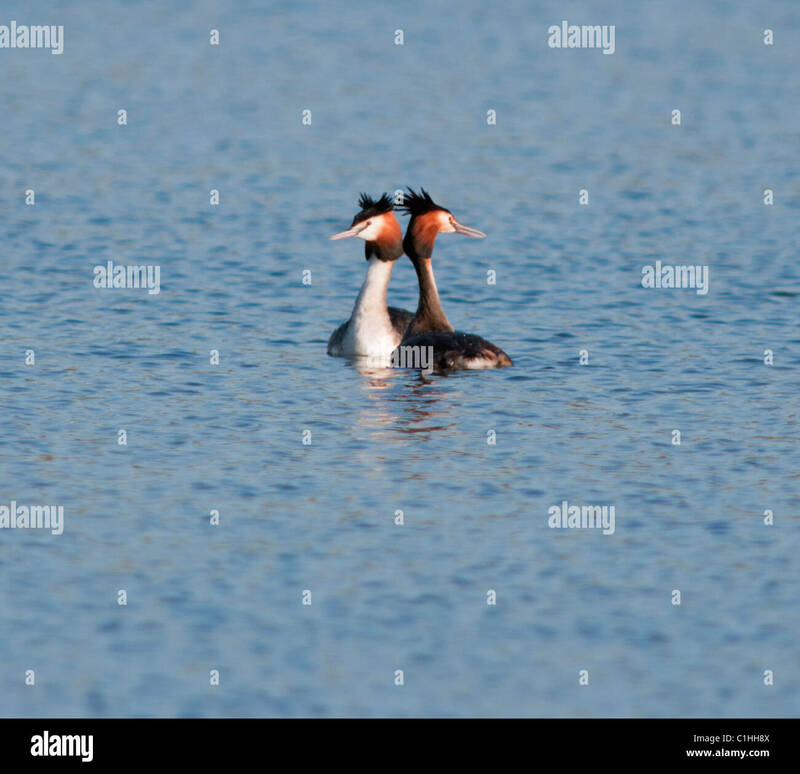 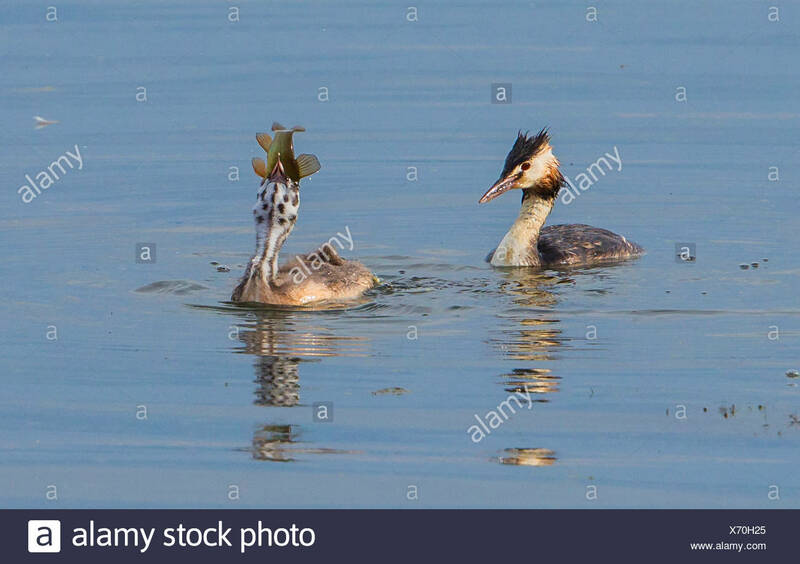 Great-crested Grebes, Podiceps cristatus, pair of adults with fish. 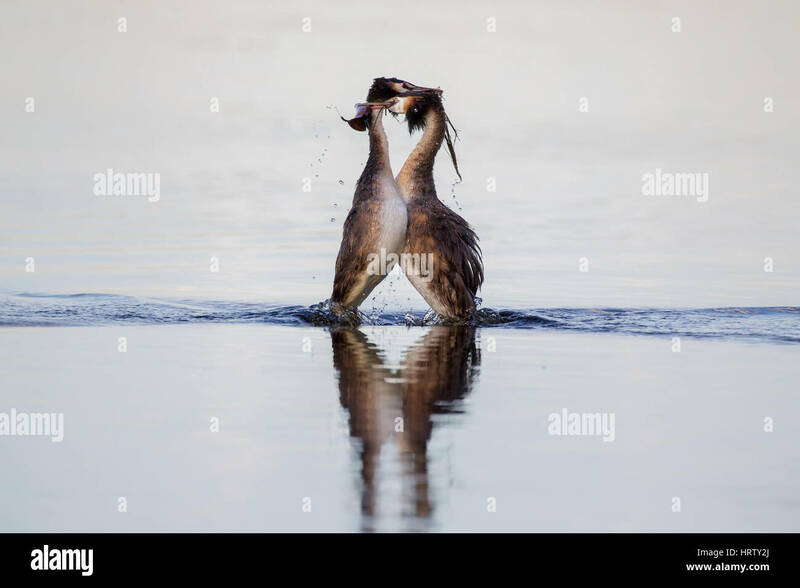 Taken May. 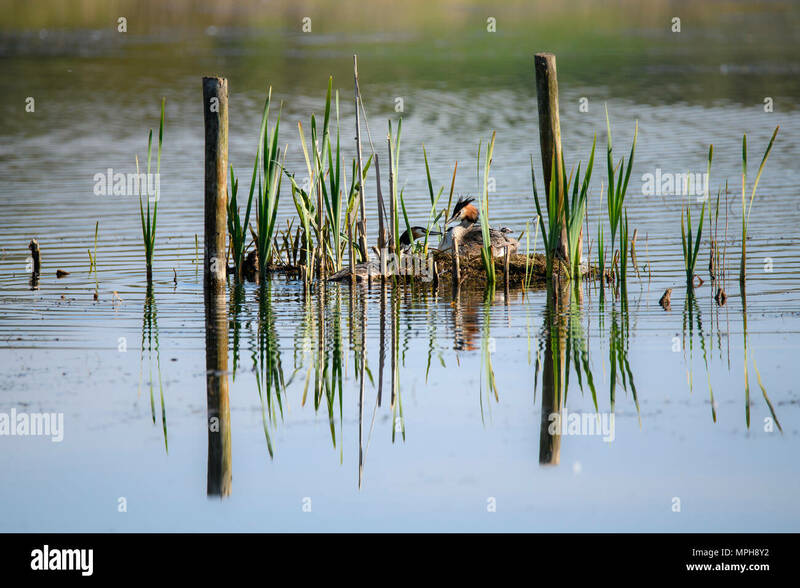 Lea Valley, Essex, UK. 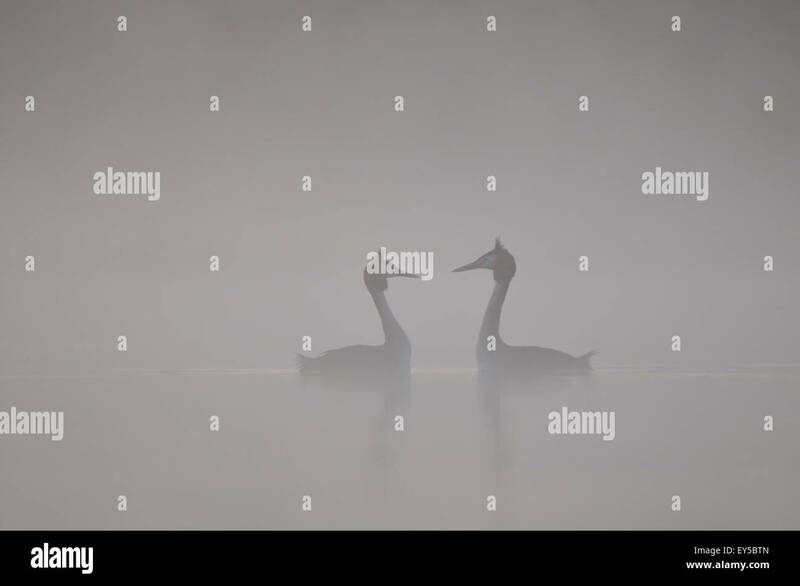 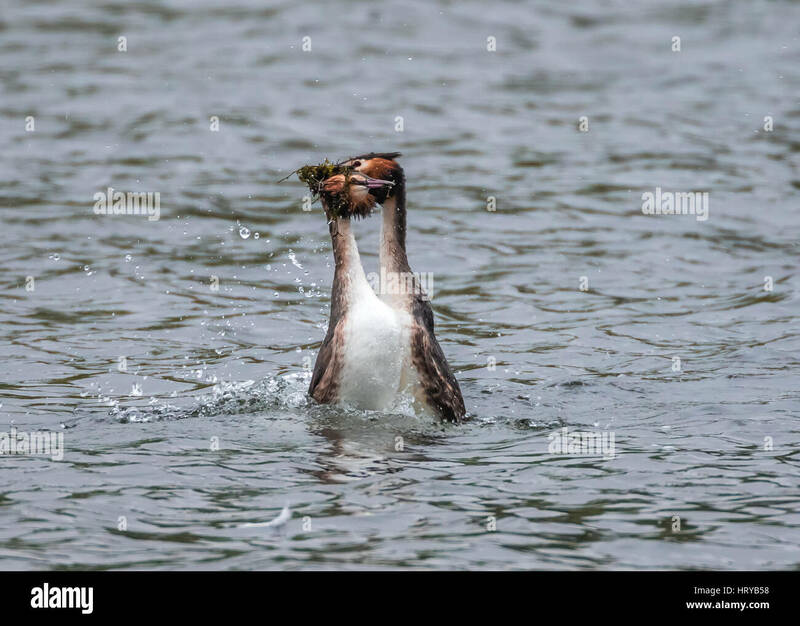 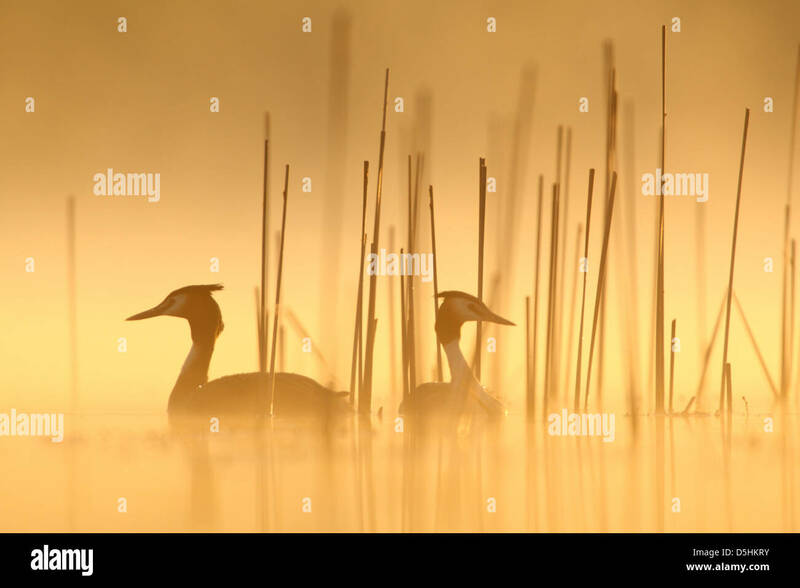 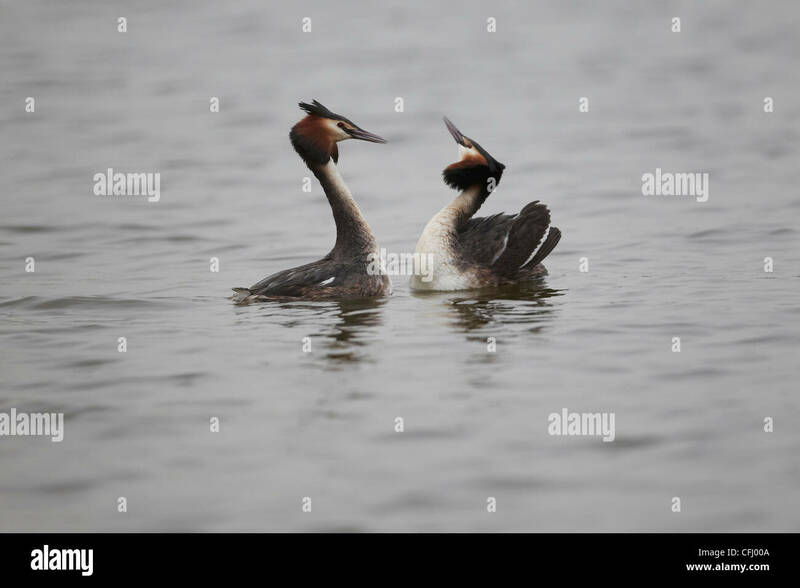 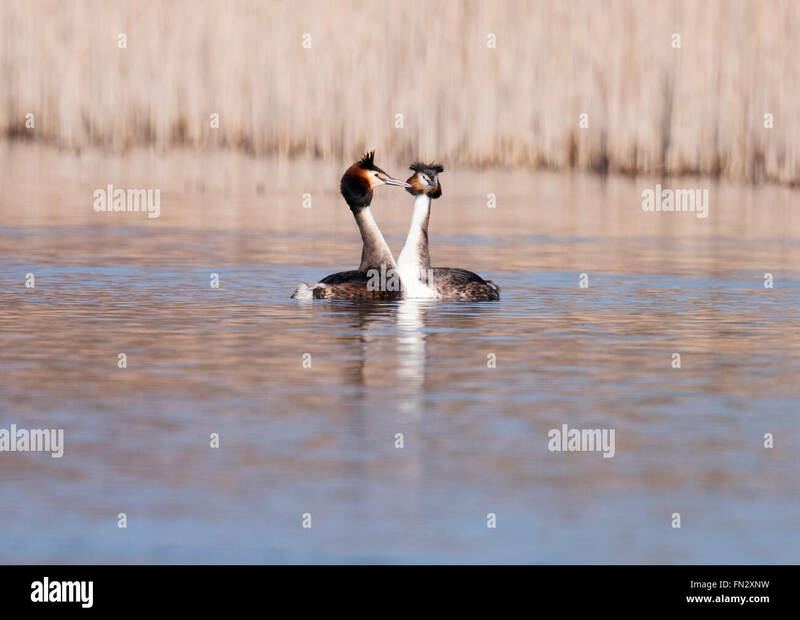 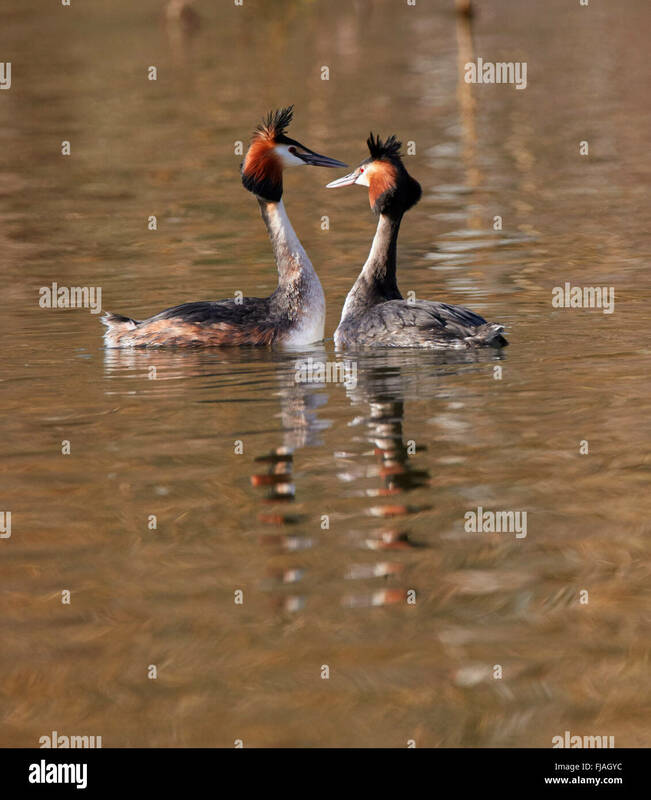 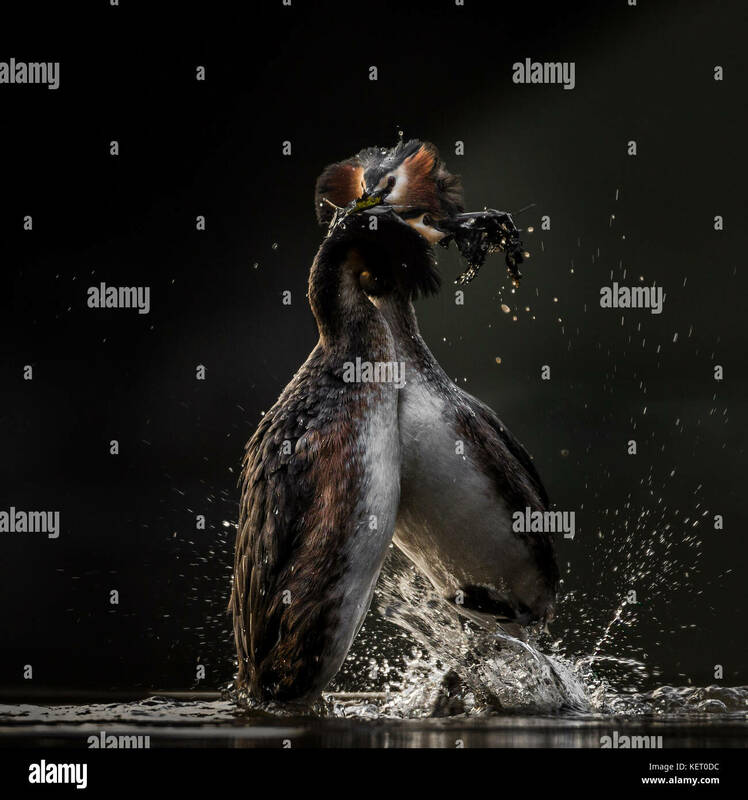 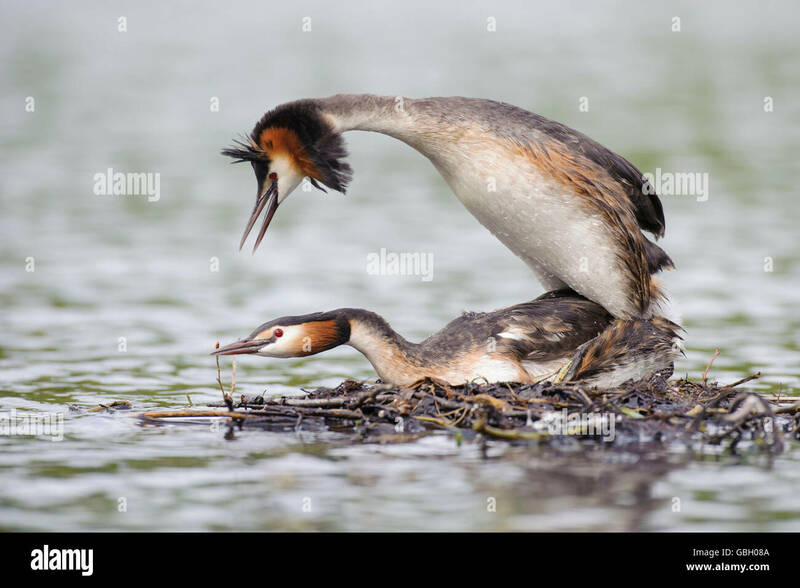 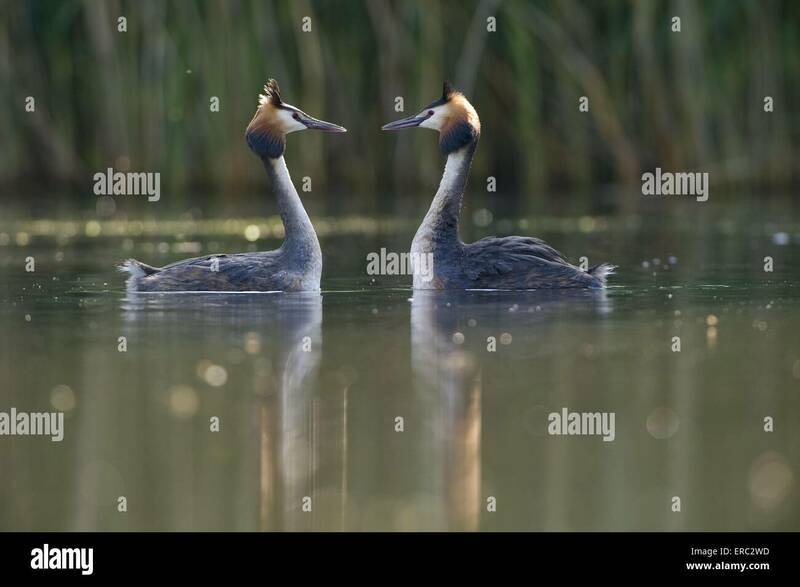 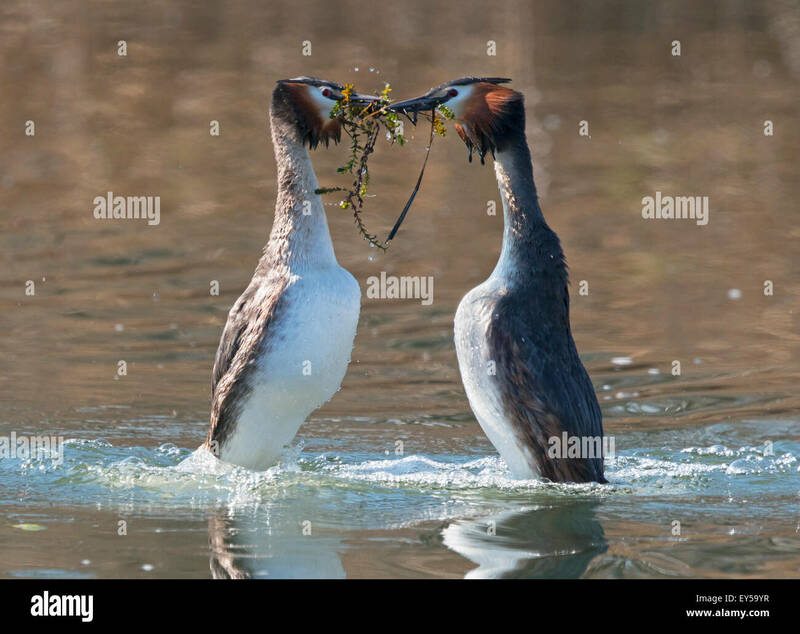 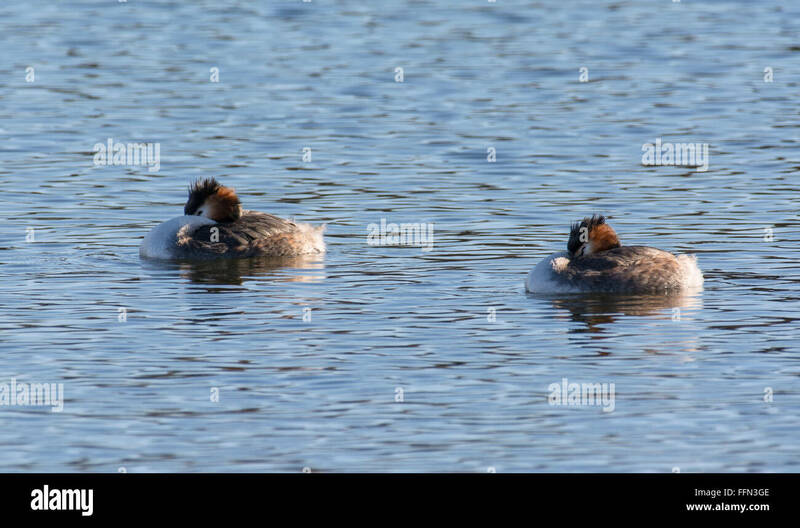 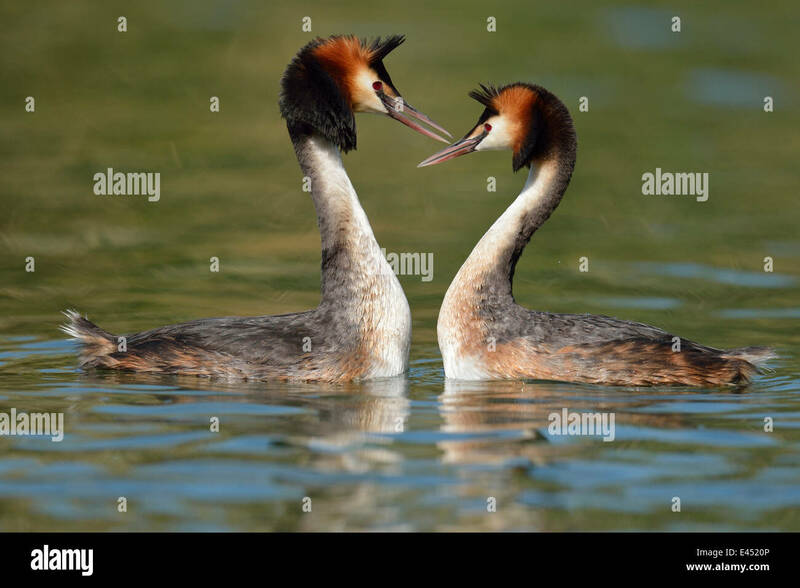 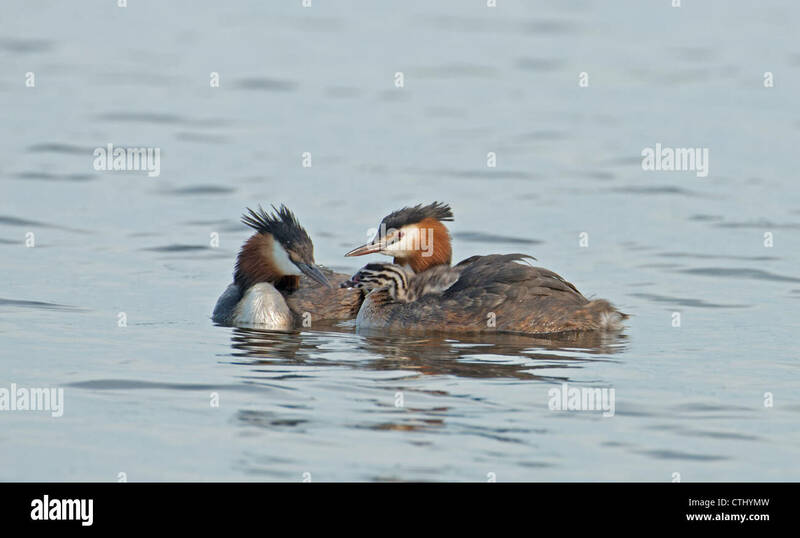 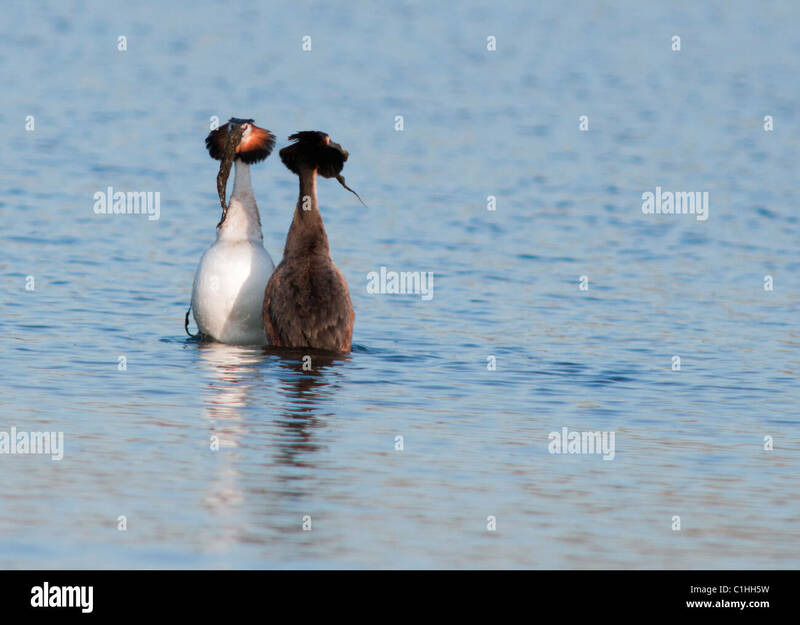 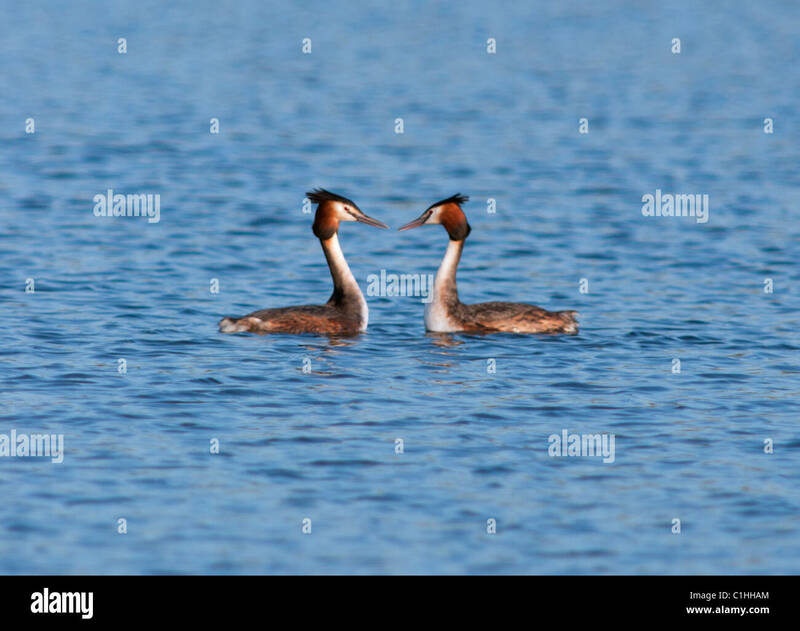 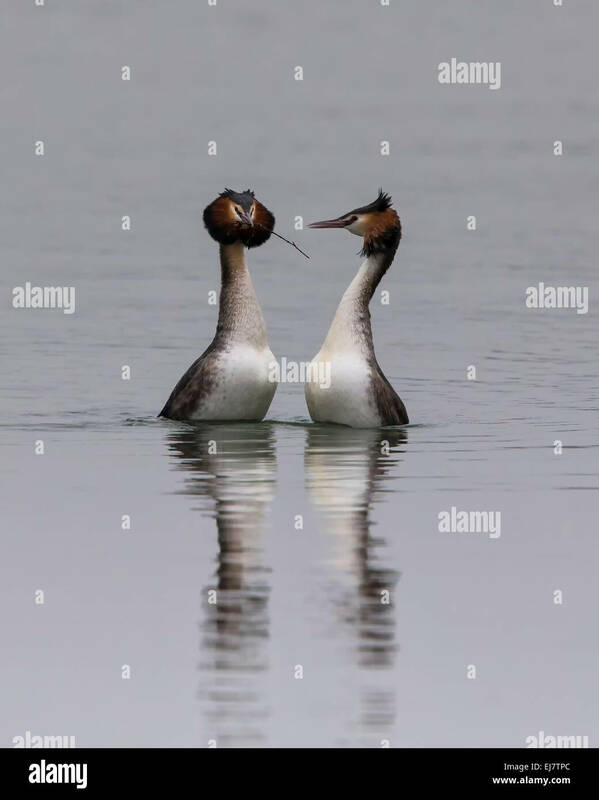 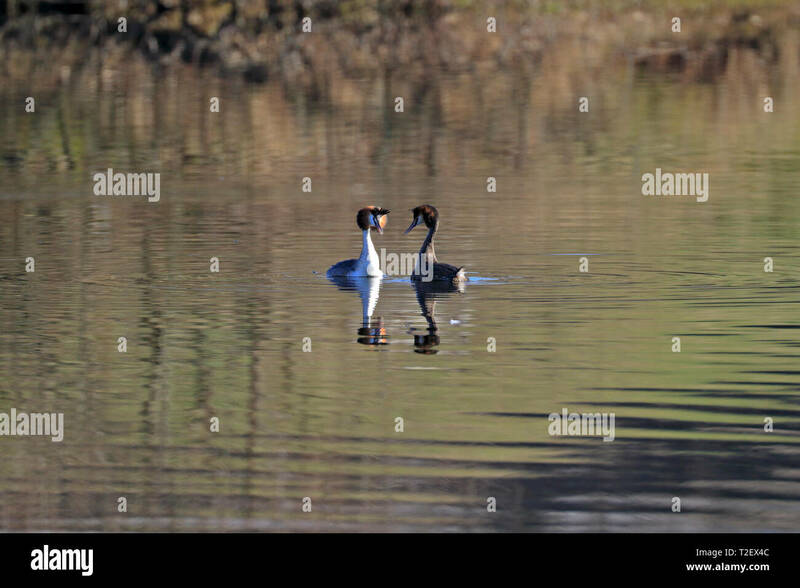 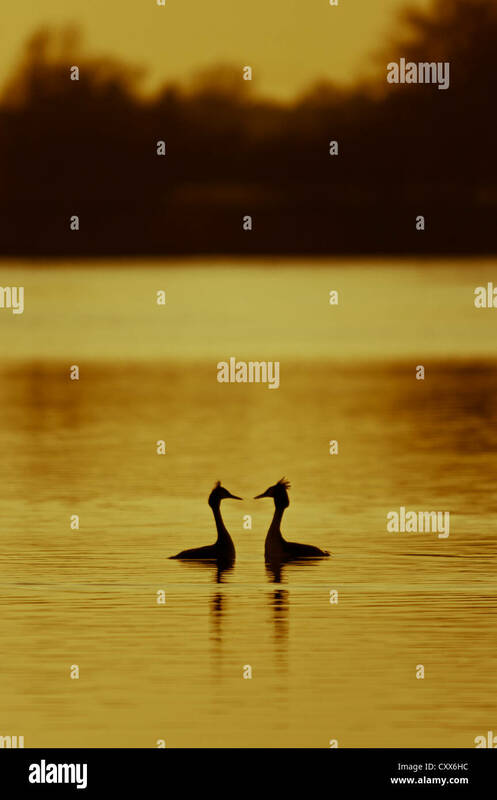 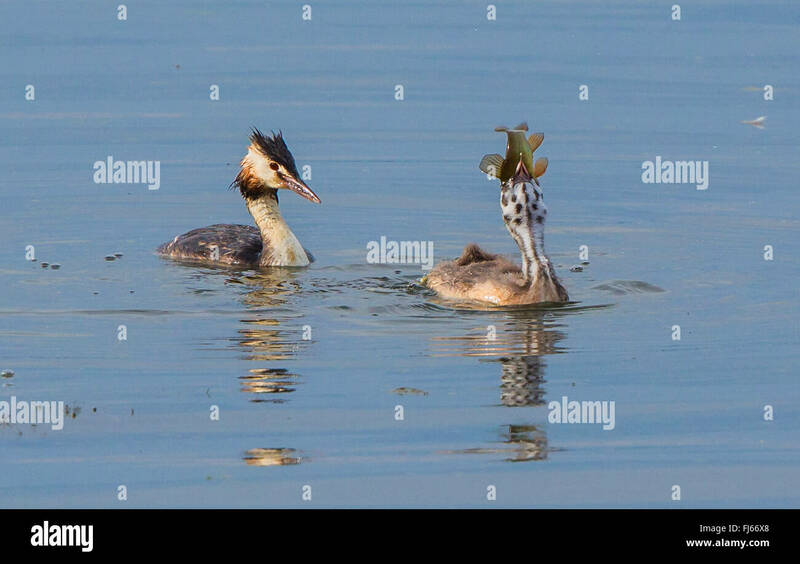 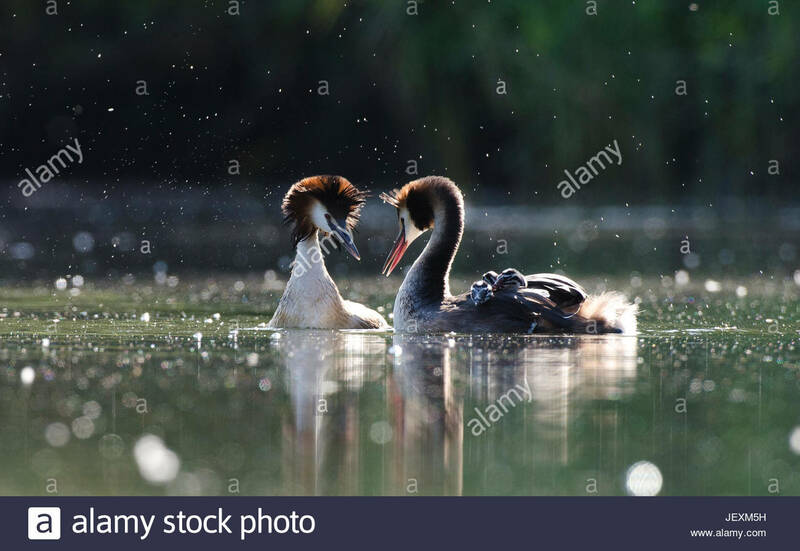 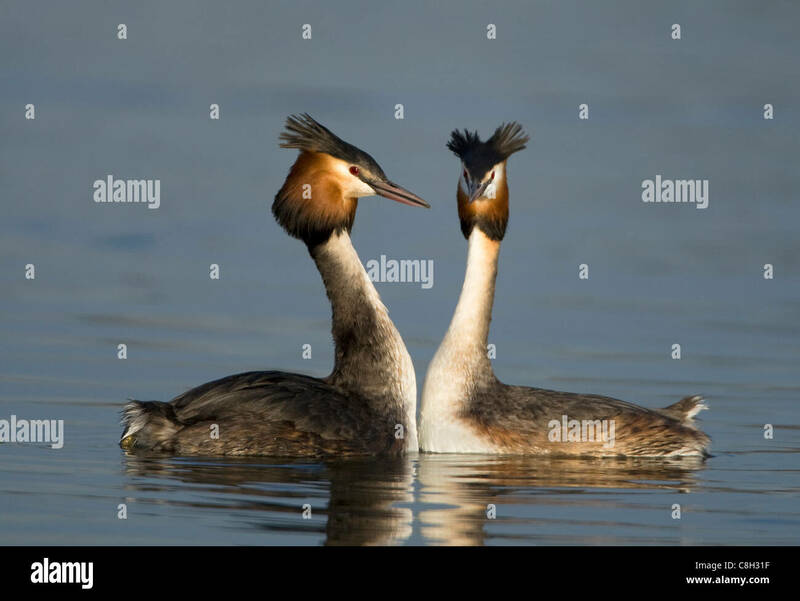 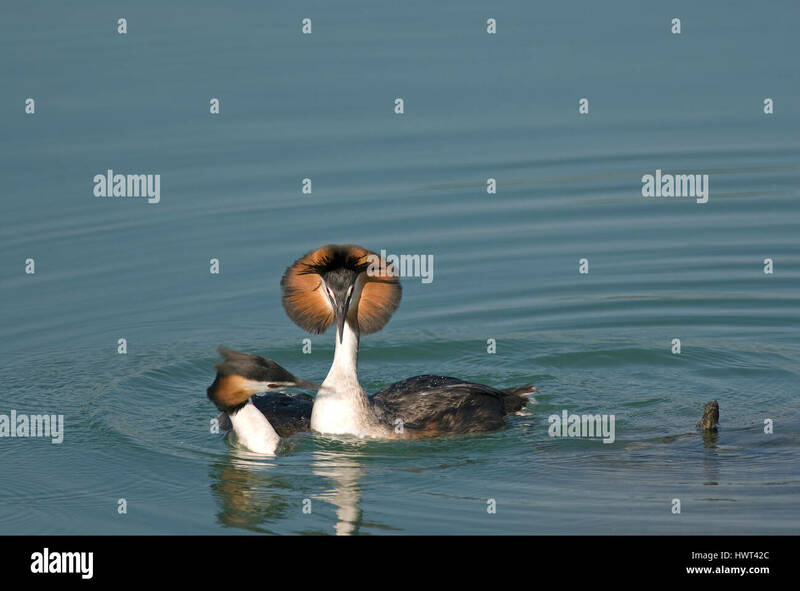 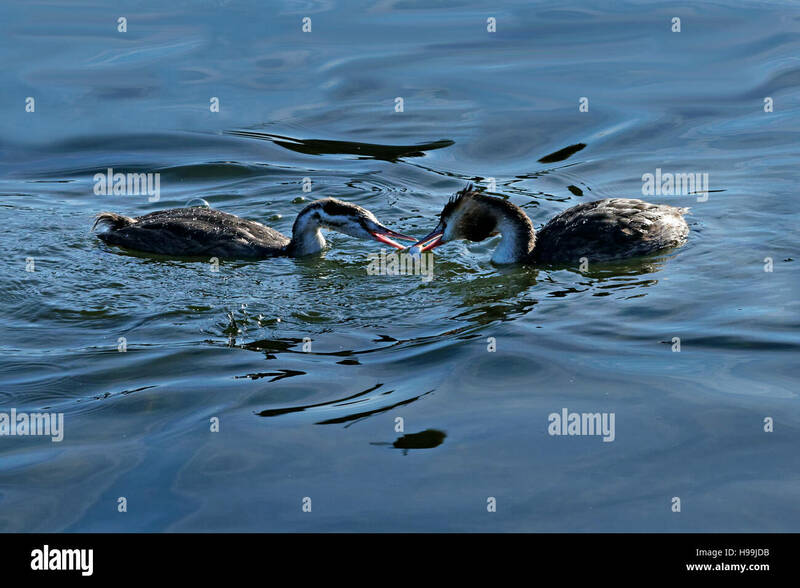 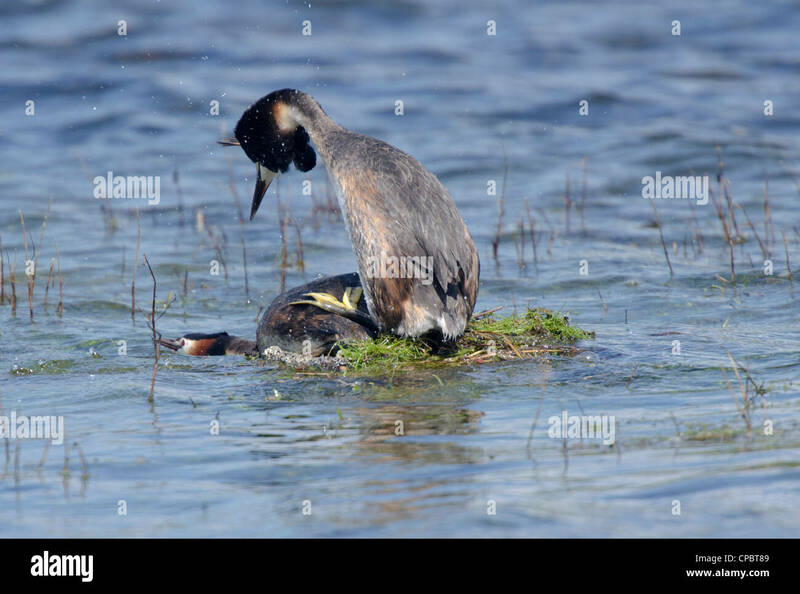 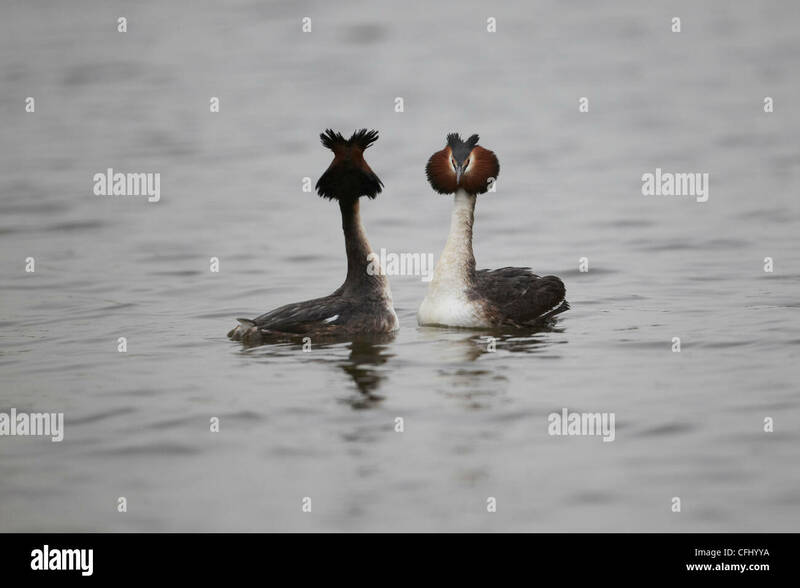 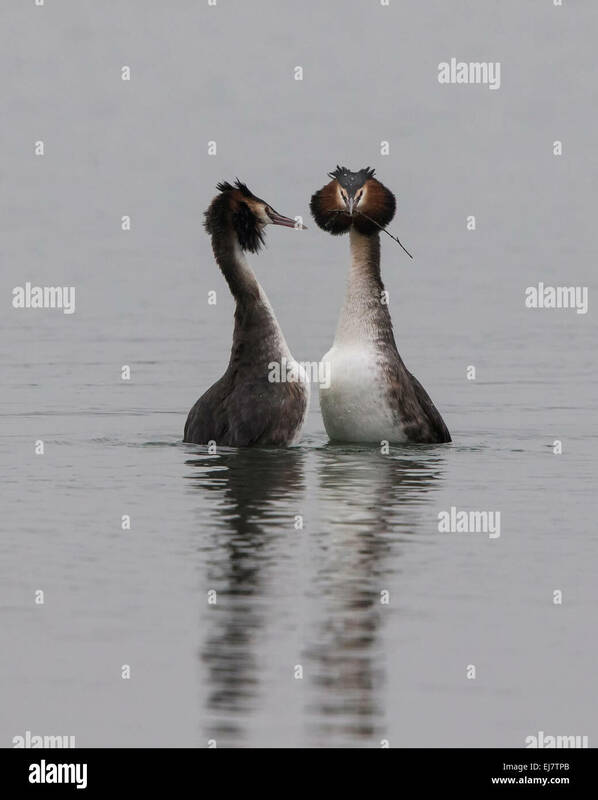 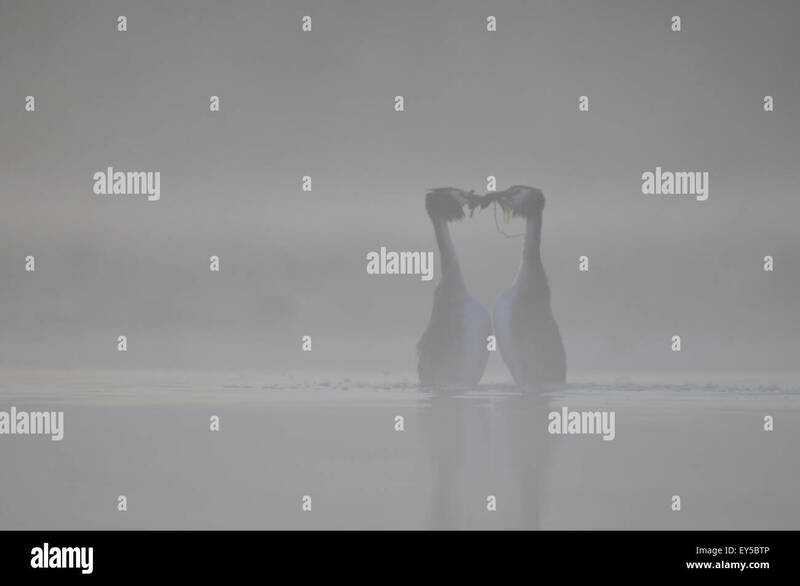 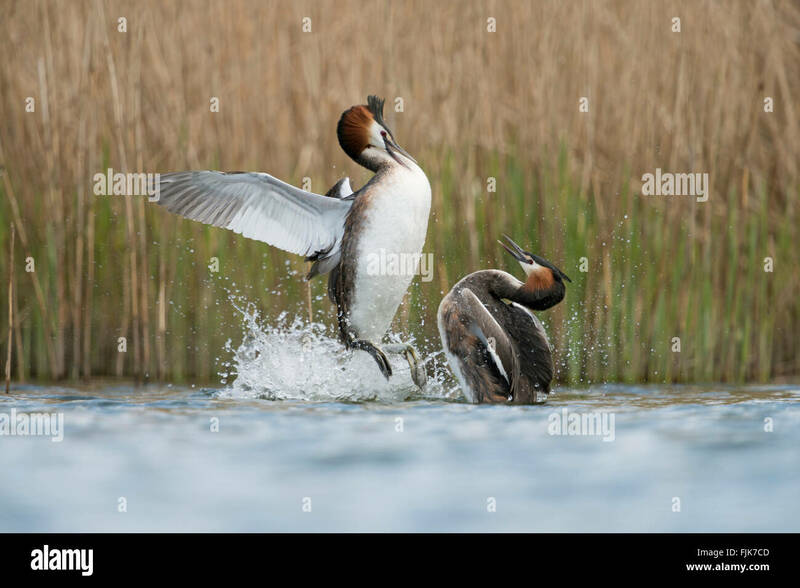 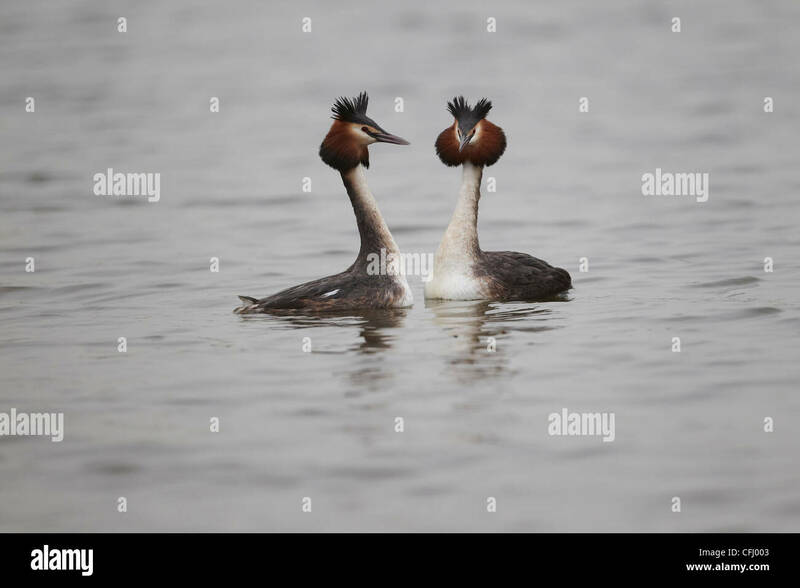 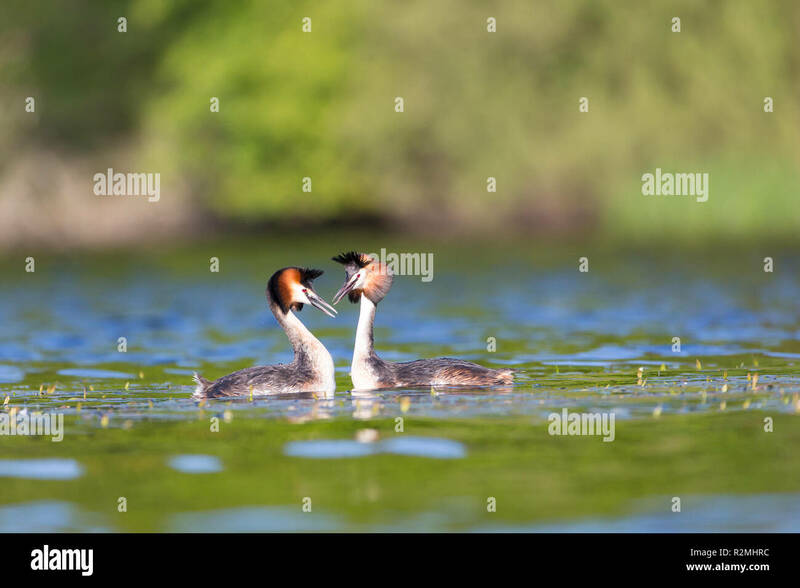 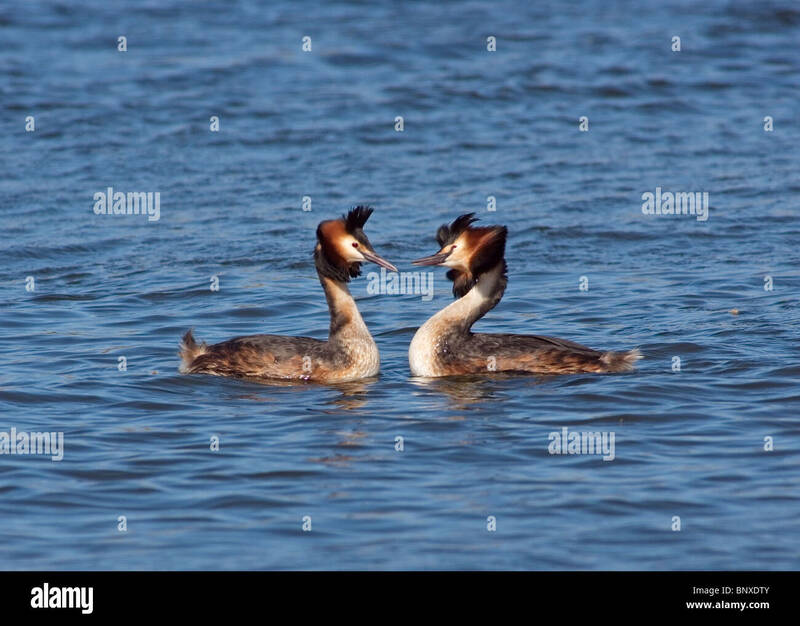 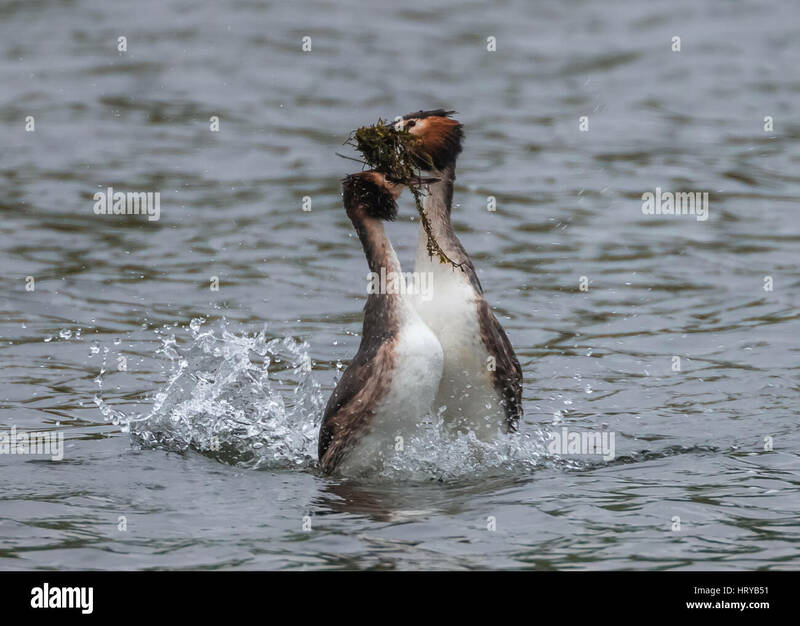 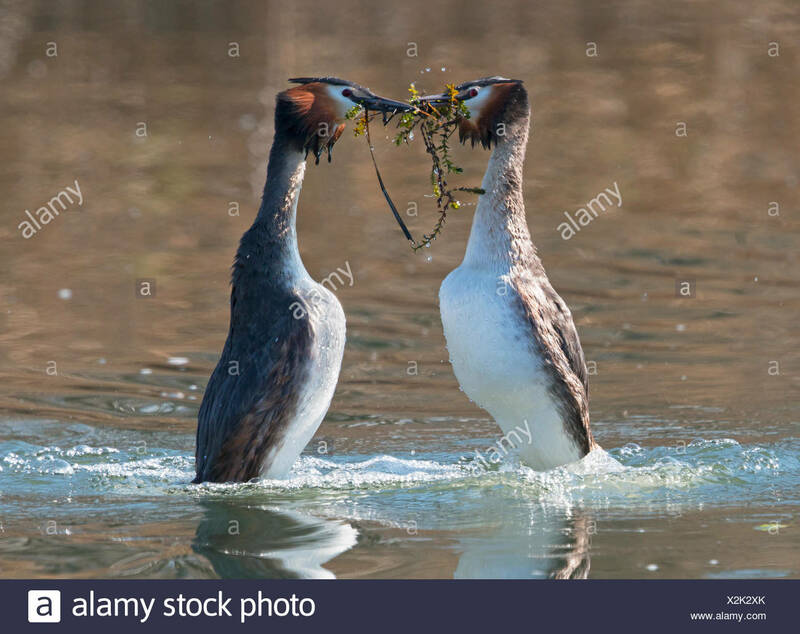 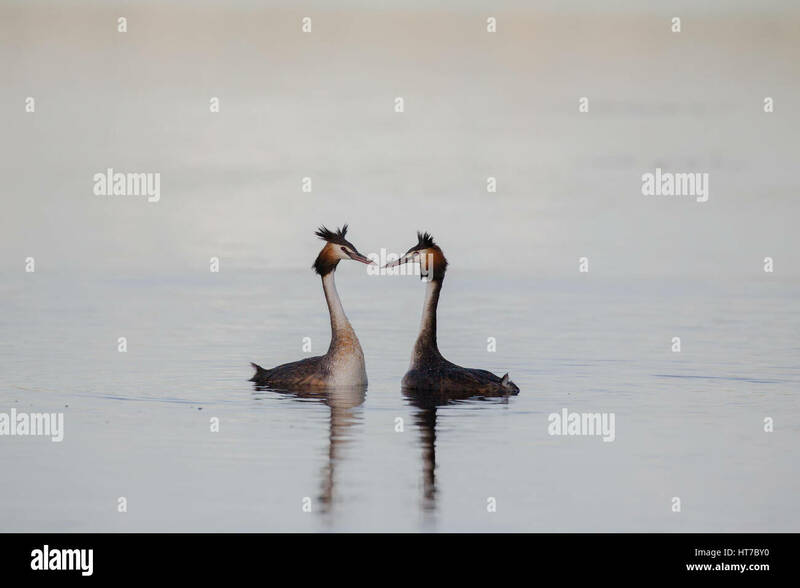 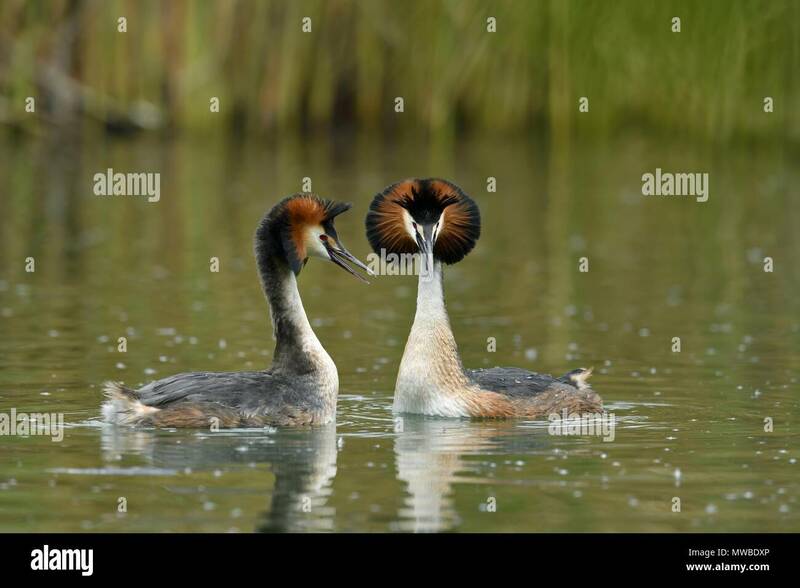 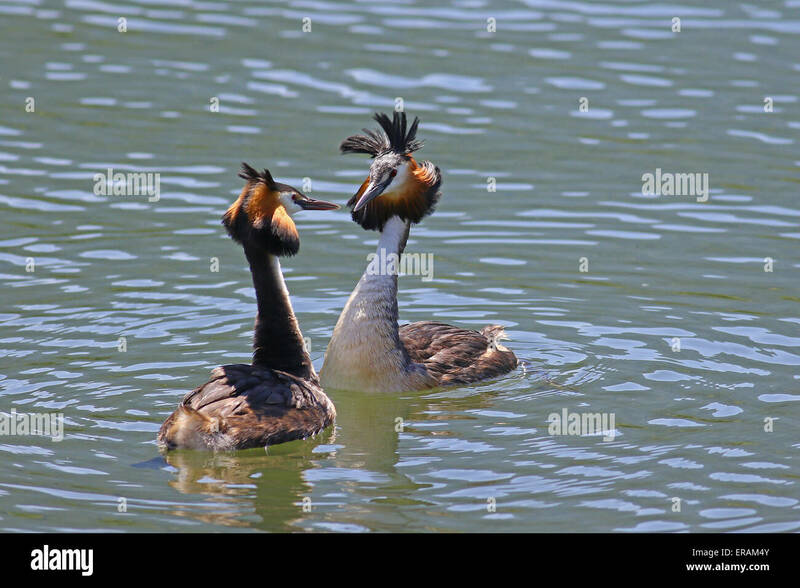 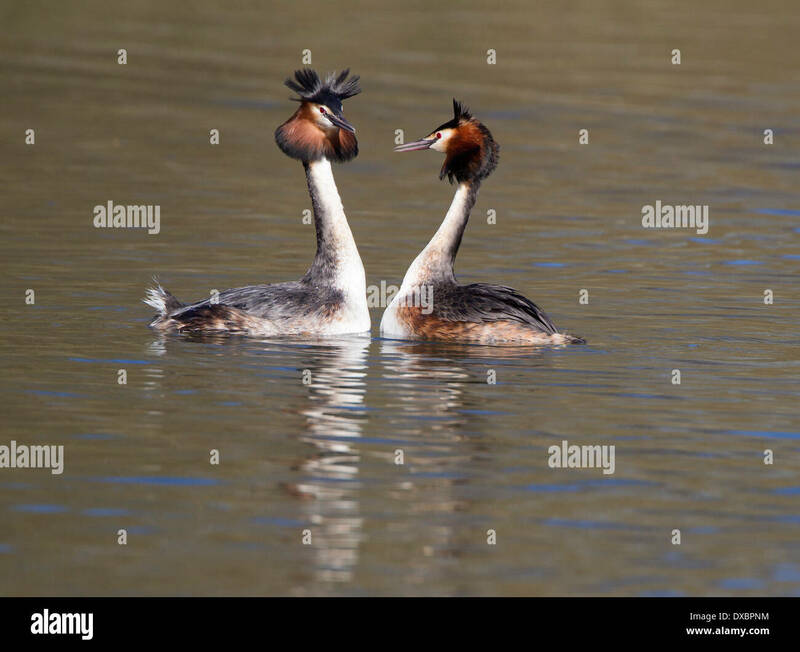 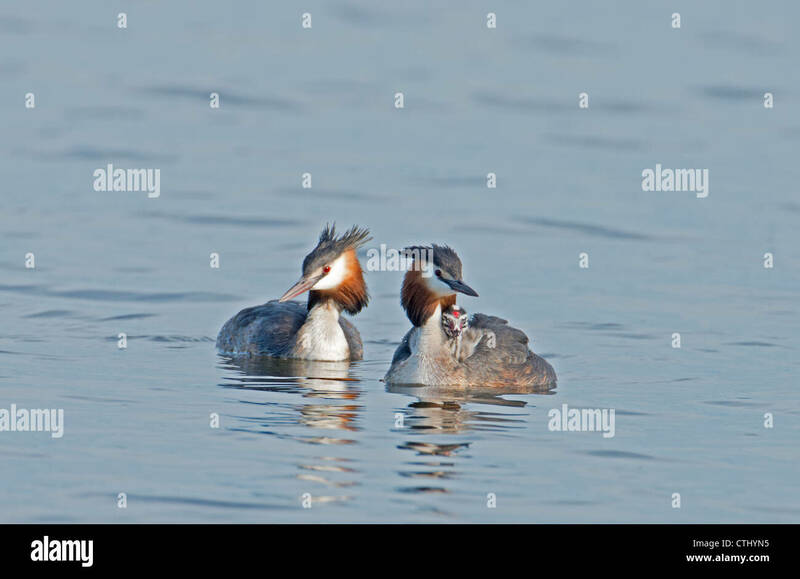 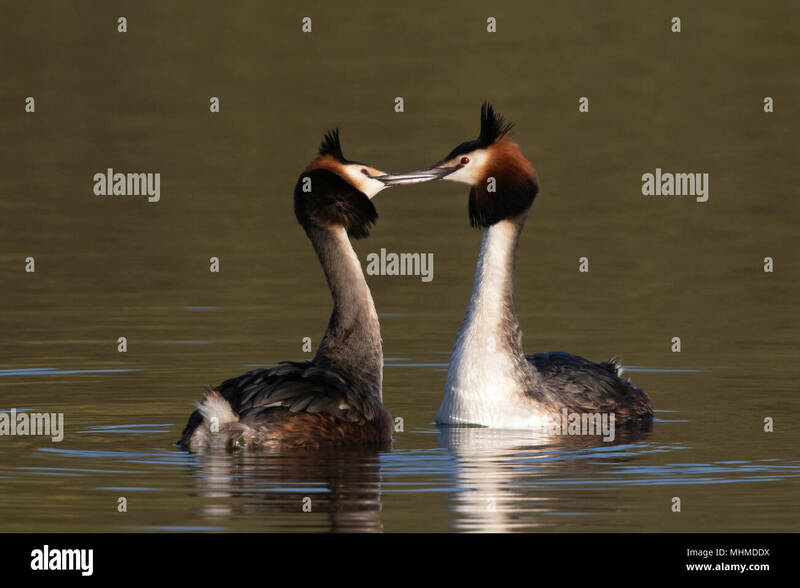 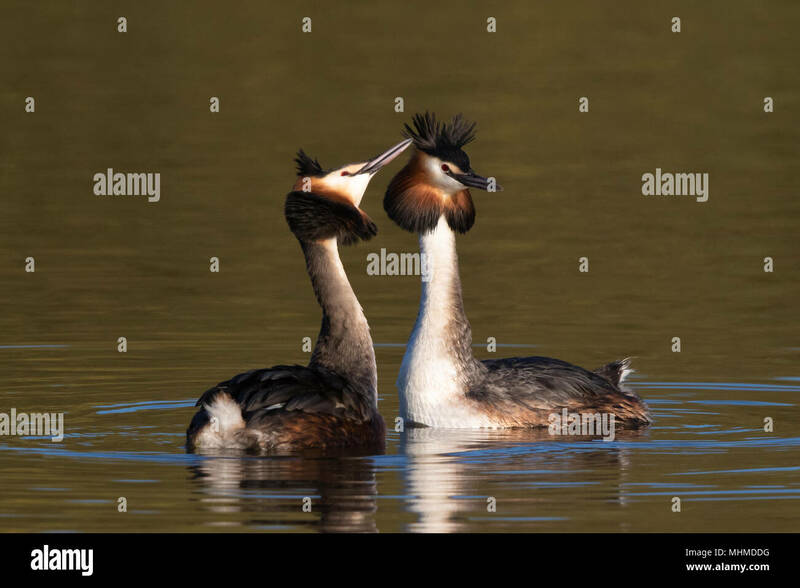 Pair of Great crested grebes, Podiceps cristatus during elaborate courtship display, Scout Dike reservoir, Penistone, Barnsley, South Yorkshire, UK. 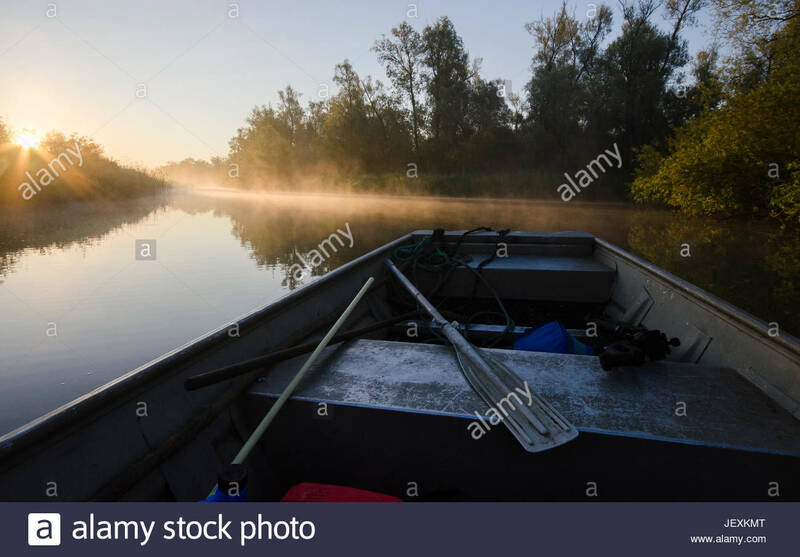 A photographer's boat at sunrise as he heads out to search for great crested grebes. 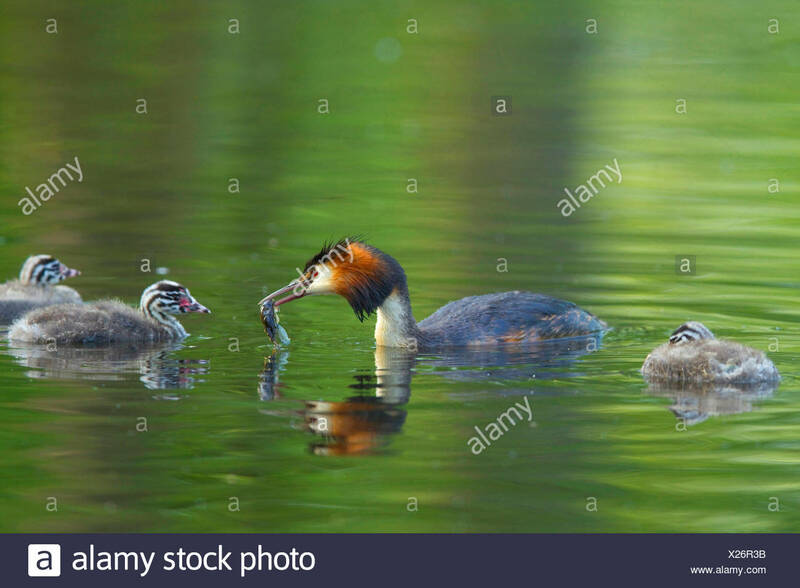 Great-crested Grebes, Podiceps cristatus, female bringing fish to young on back of male. 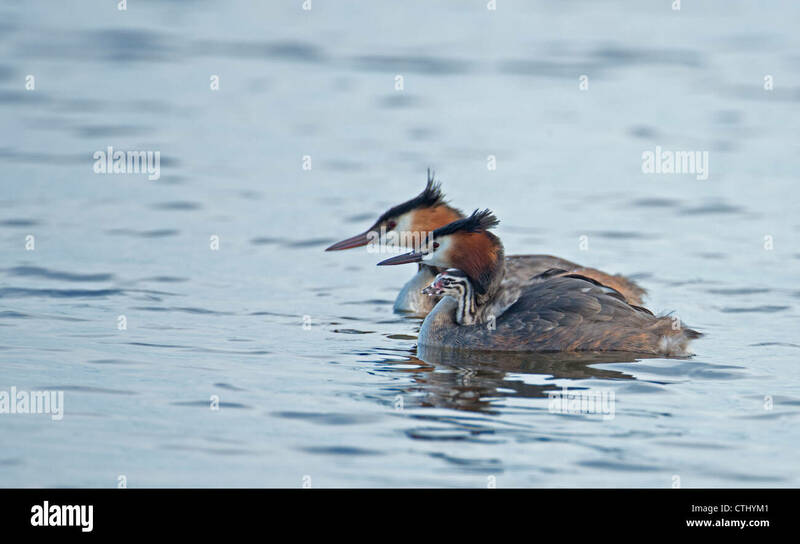 Taken May. 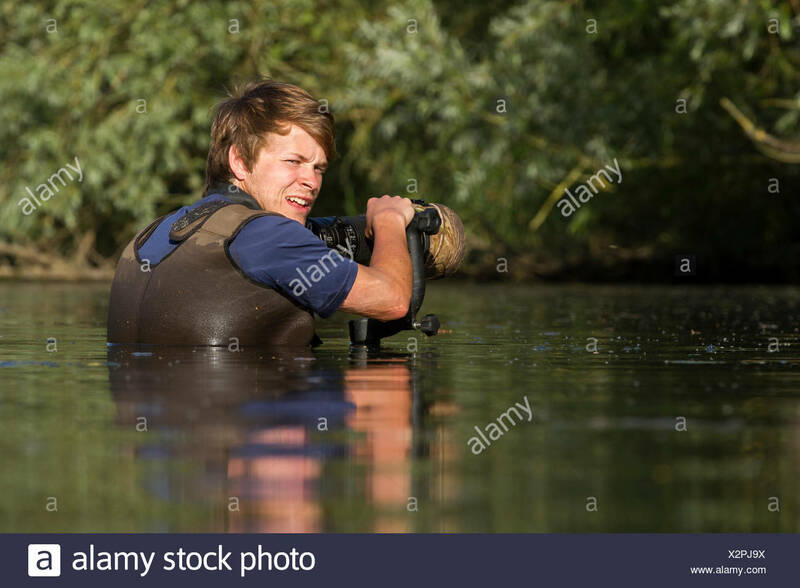 Lea Valley, Essex, UK. 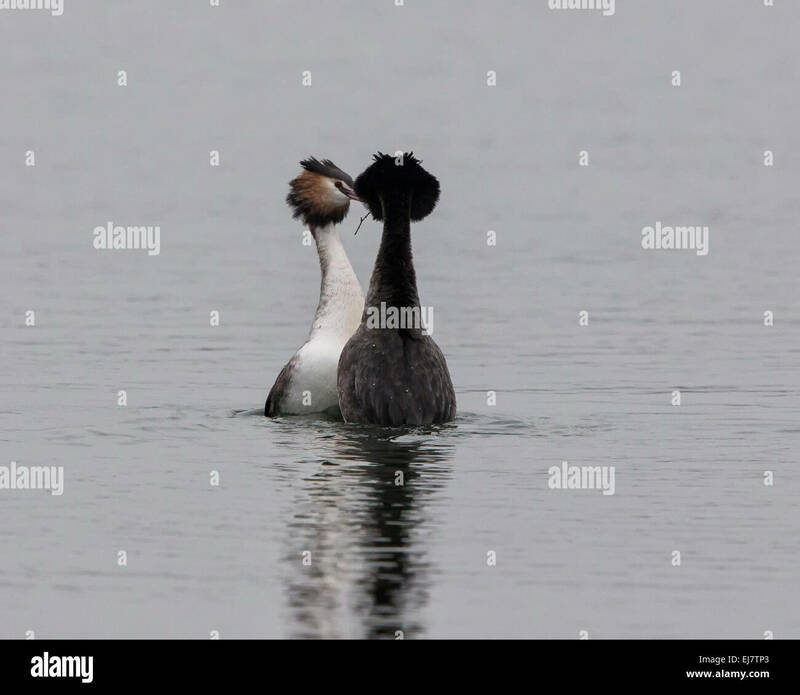 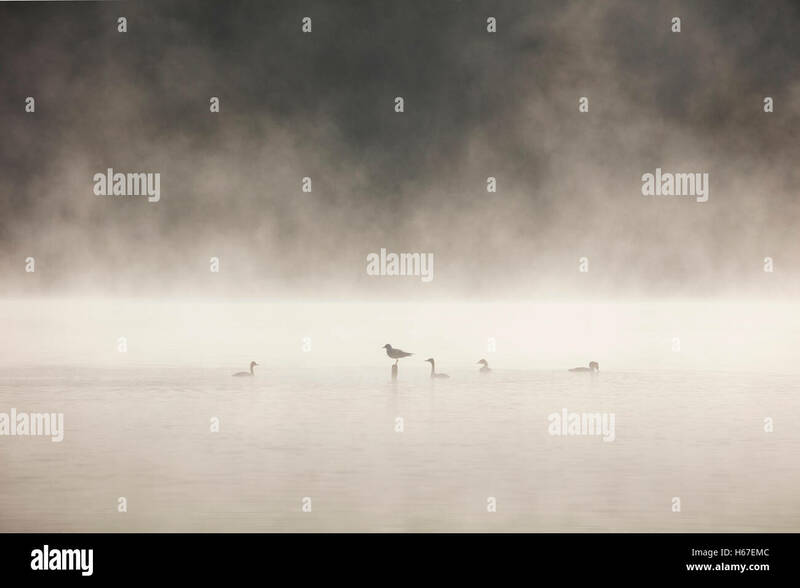 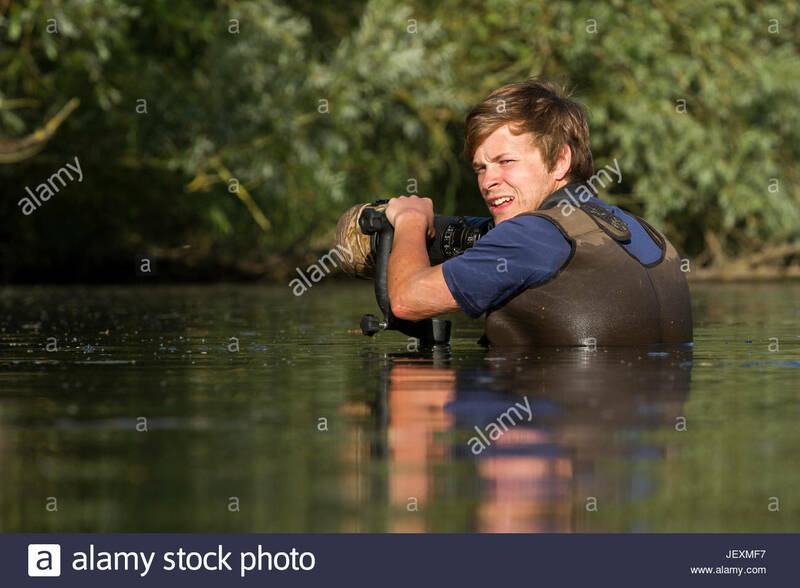 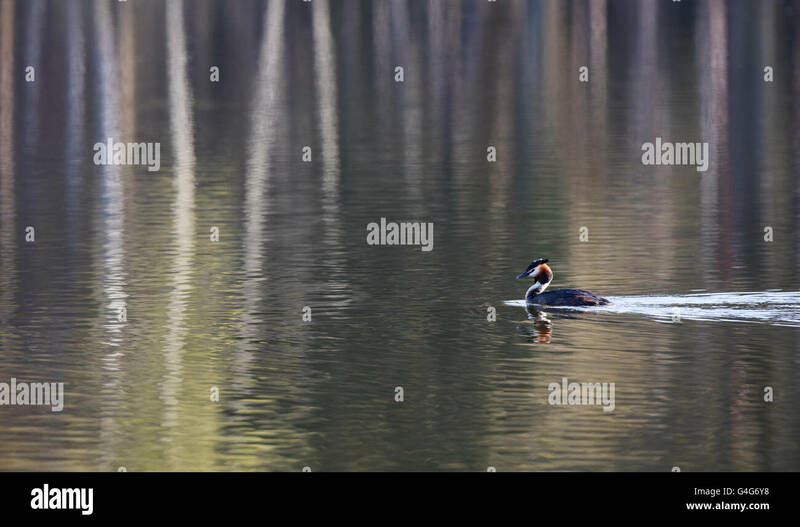 Wildlife photographer, Bertie Gregory, photographing great crested grebes while submerged in a river. 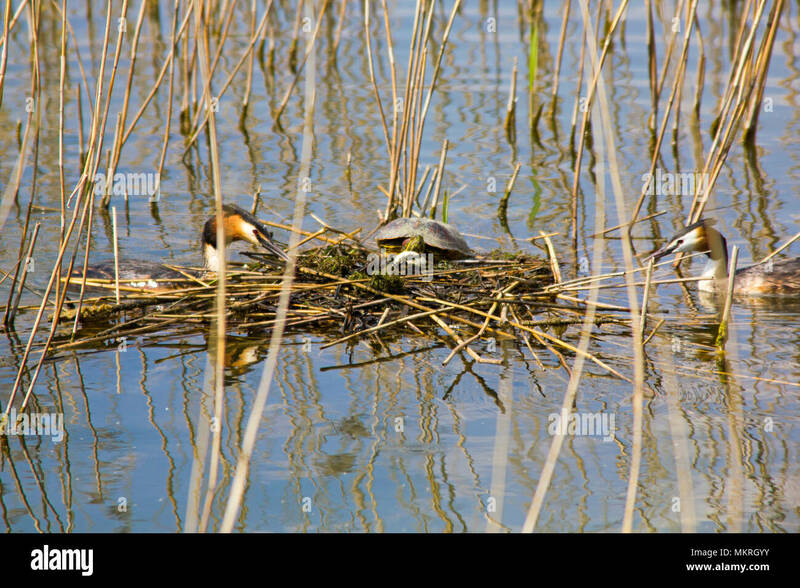 Terrapin on Great Crested Grebe's floating nest/eggs. 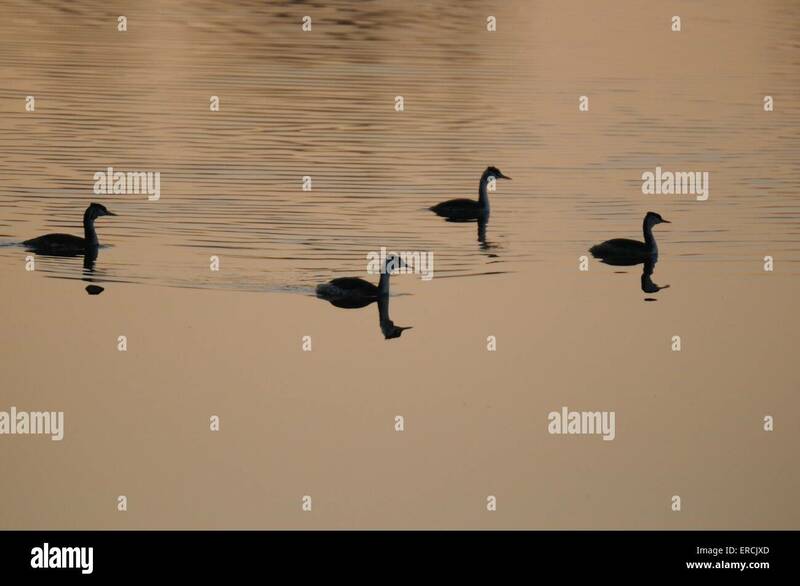 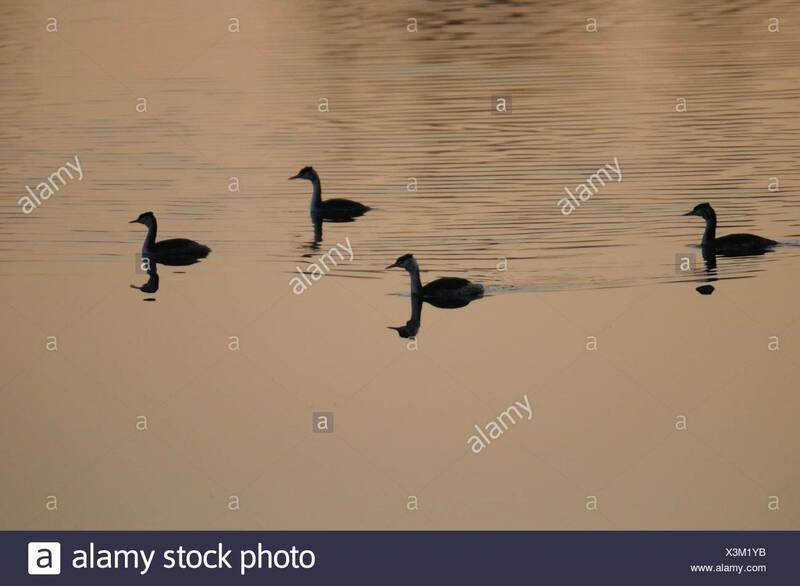 A flock of Great Crested Grebes / Haubentaucher ( Podiceps cristatus ) swimming in golden light in front of a reed belt.